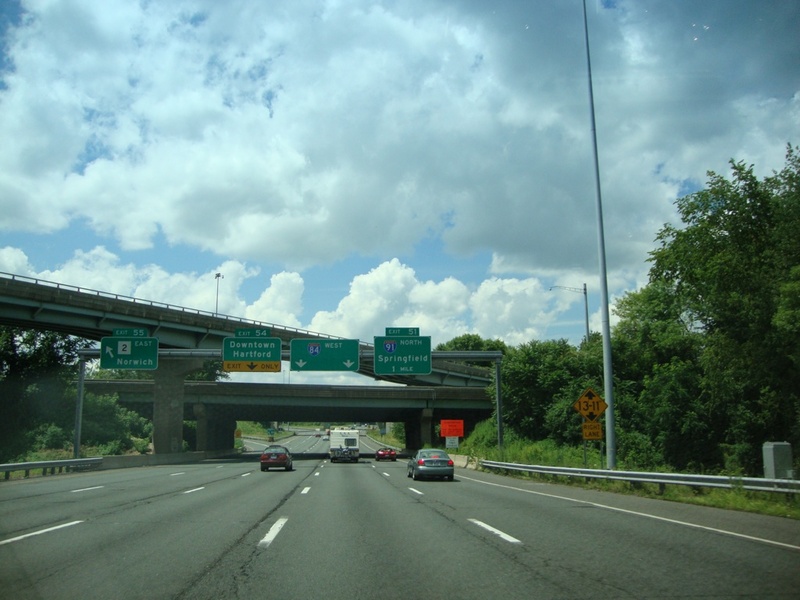 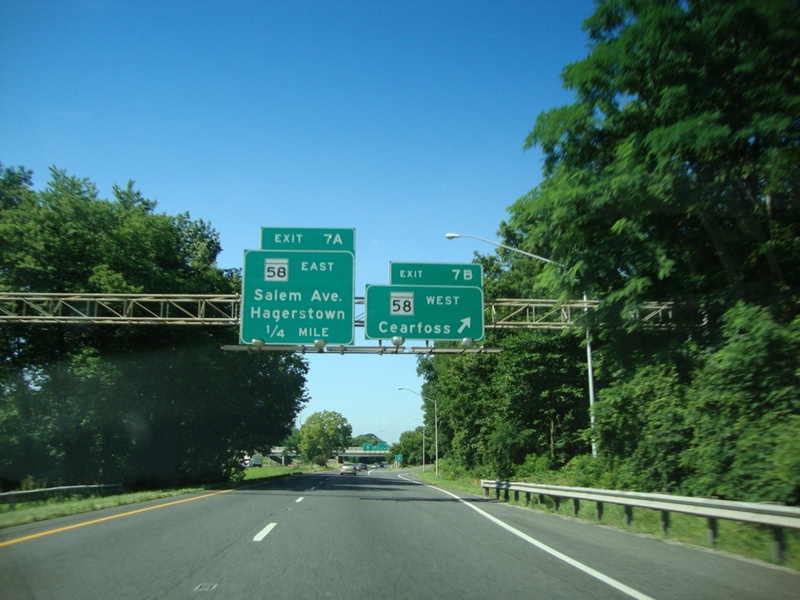 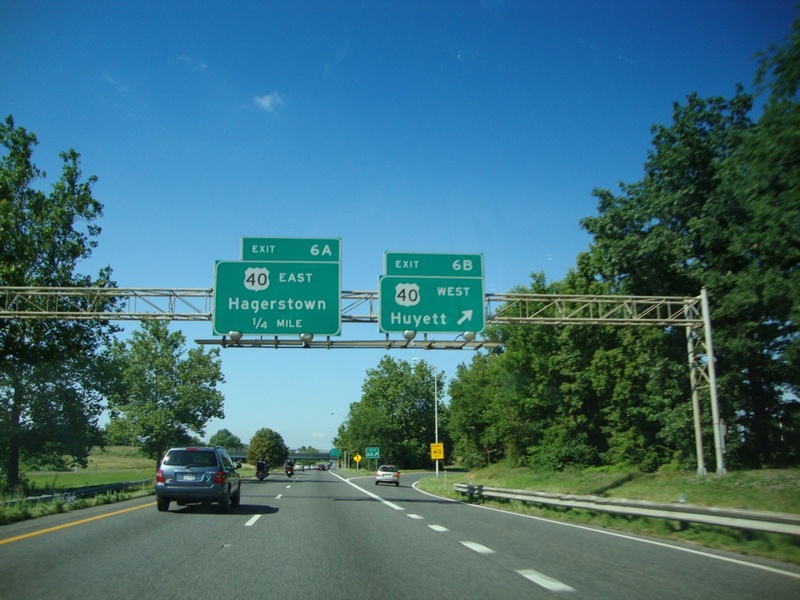 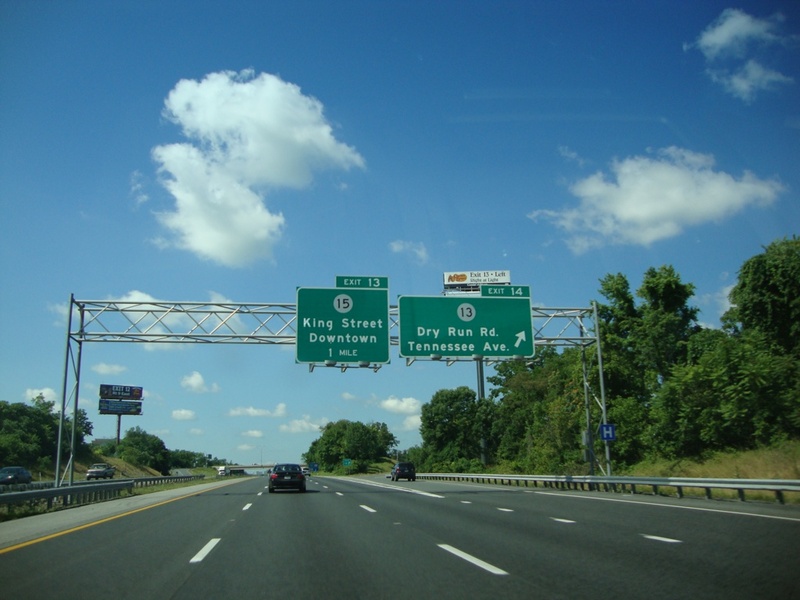 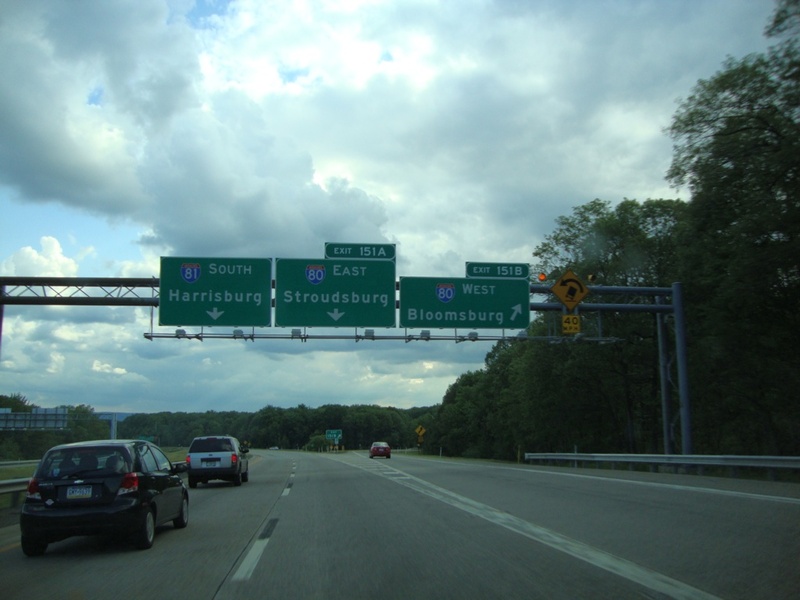 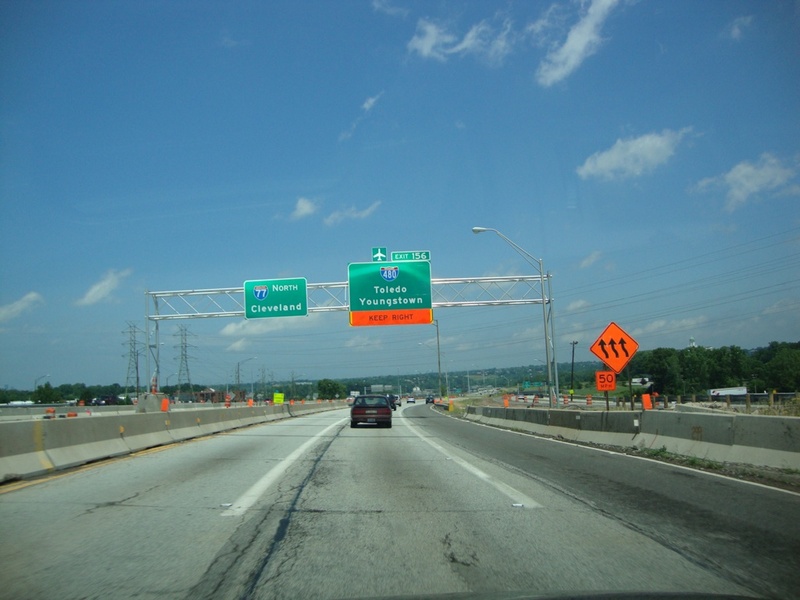 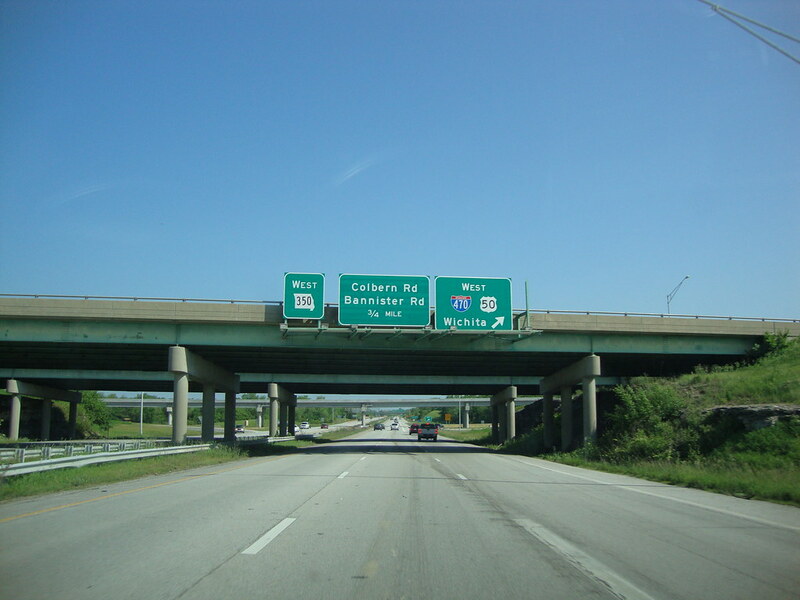 Description: Interstate 495 North at Exit 5 - U.S. 13/Philadelphia Pike - Claymont. 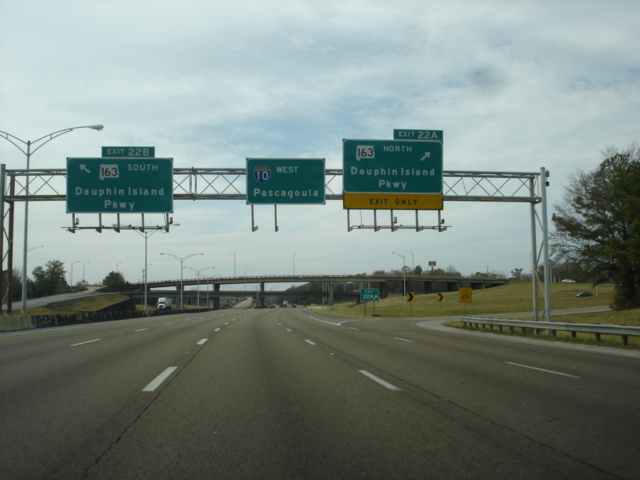 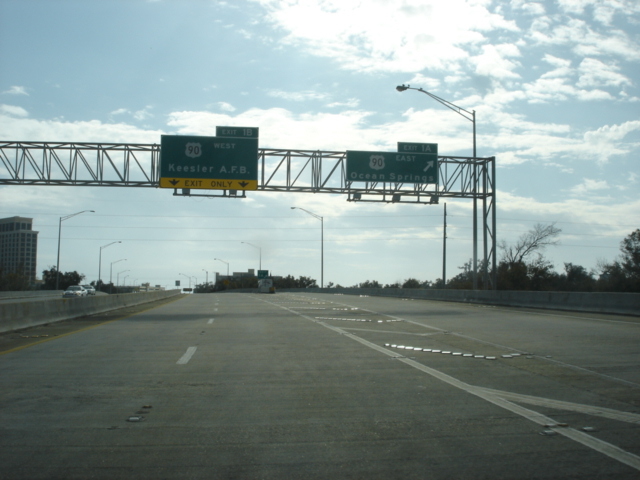 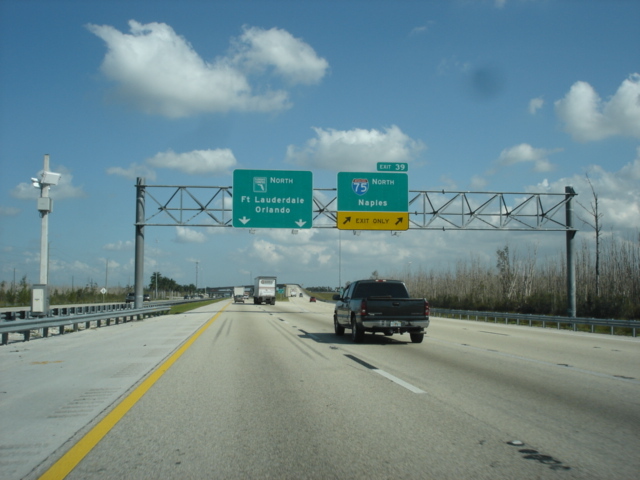 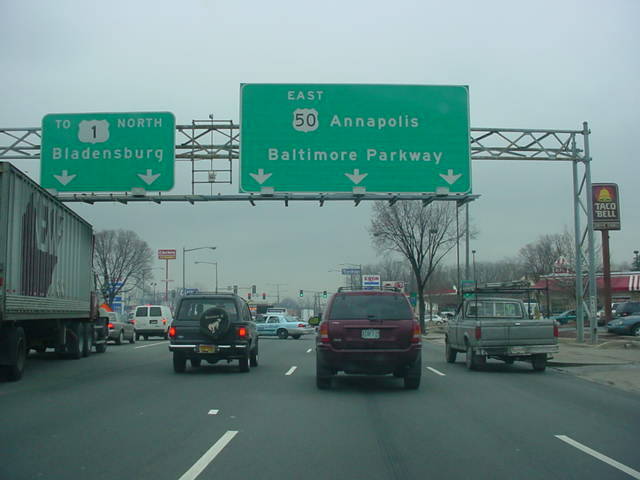 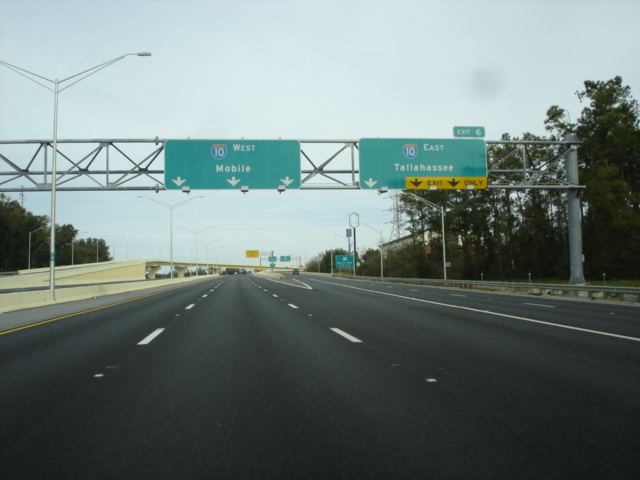 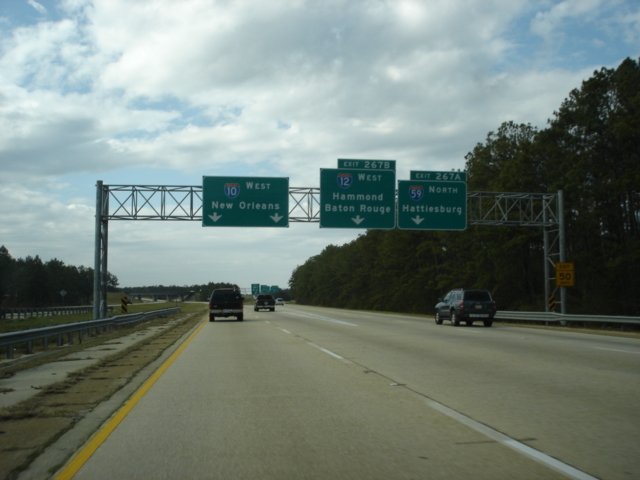 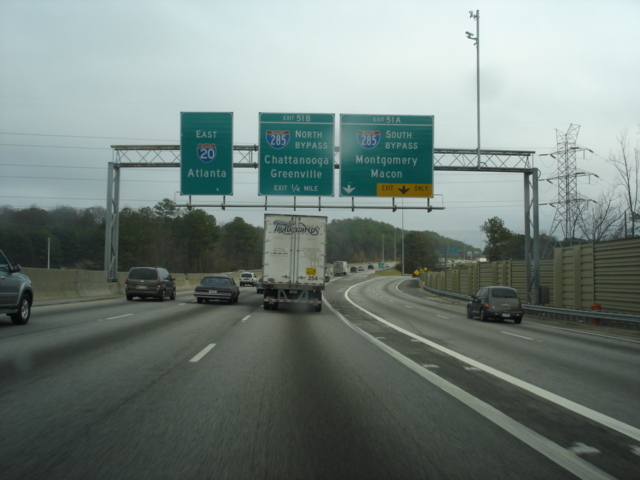 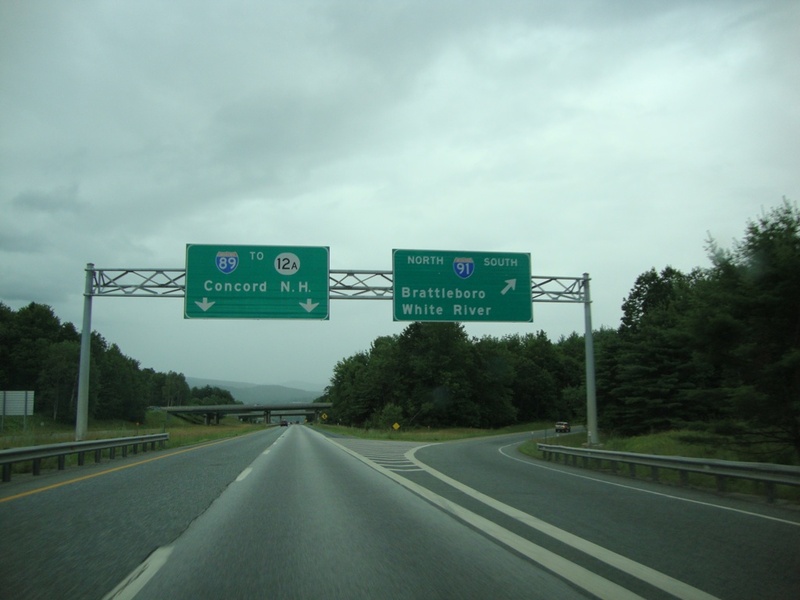 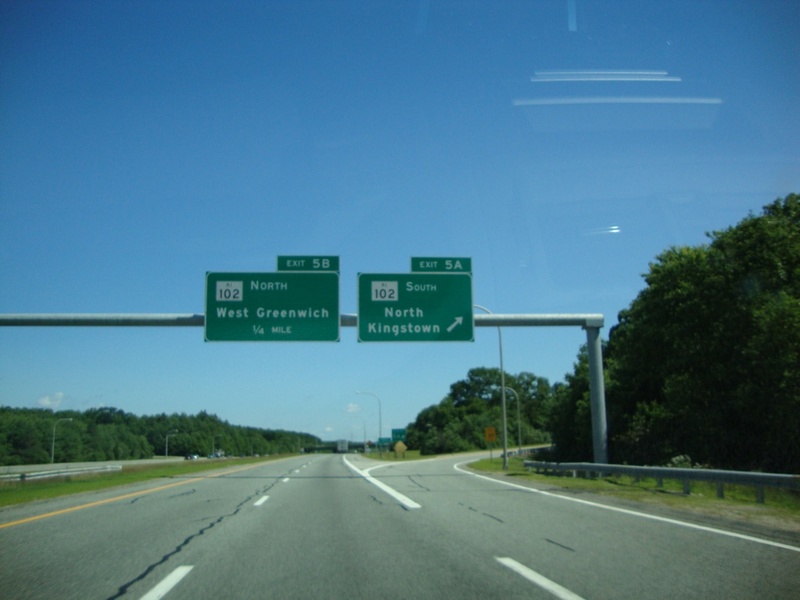 The highway will merge onto Interstate 95 shortly. 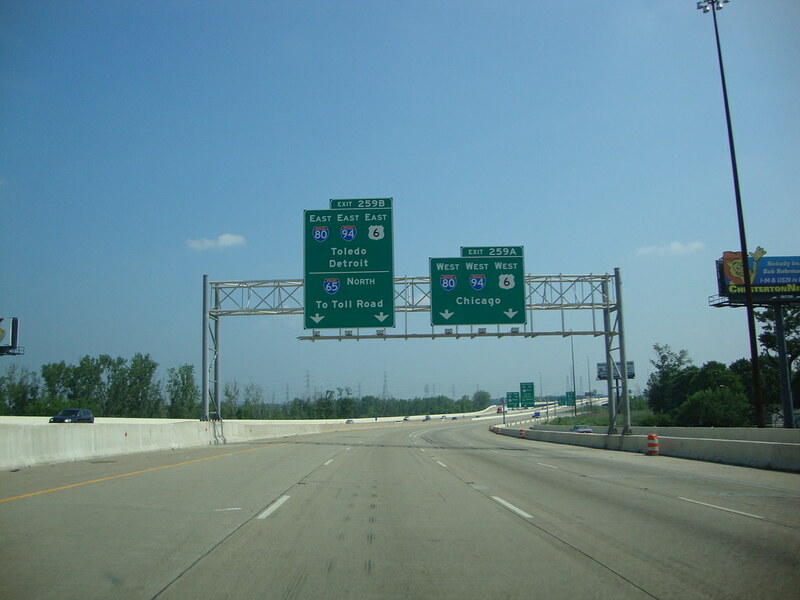 Description: Interstate 43 North and Interstate 894 East at Exit 10A - Interstate 43/U.S. 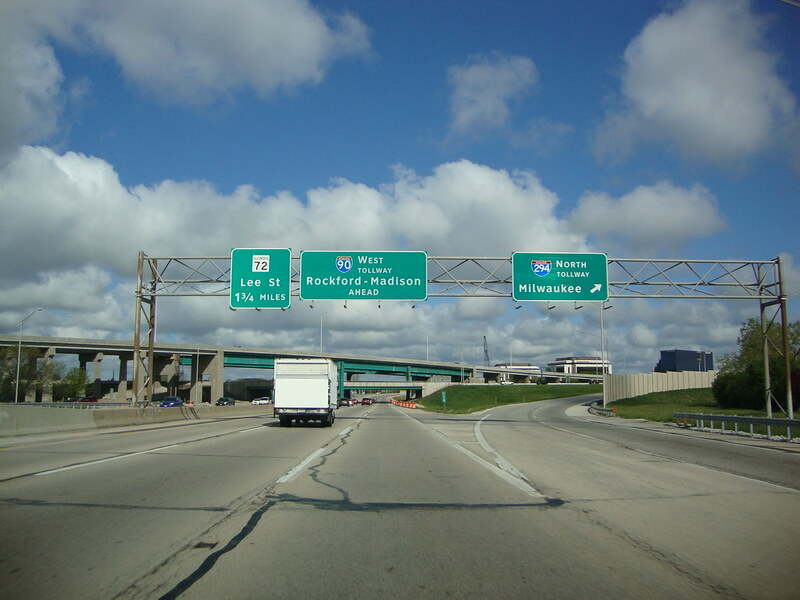 41 North/Interstate 94 West - Downtown Milwaukee, and Exit 10B - Interstate 94 East/U.S. 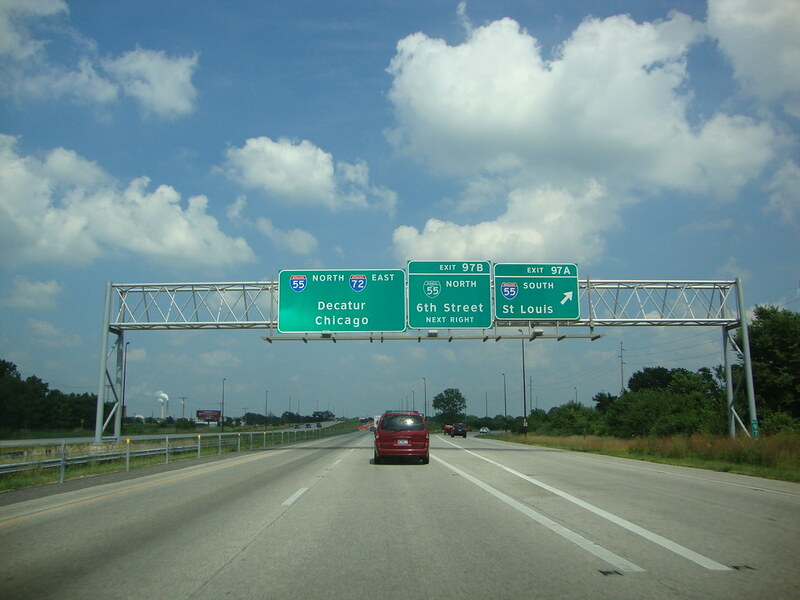 41 South - Chicago. 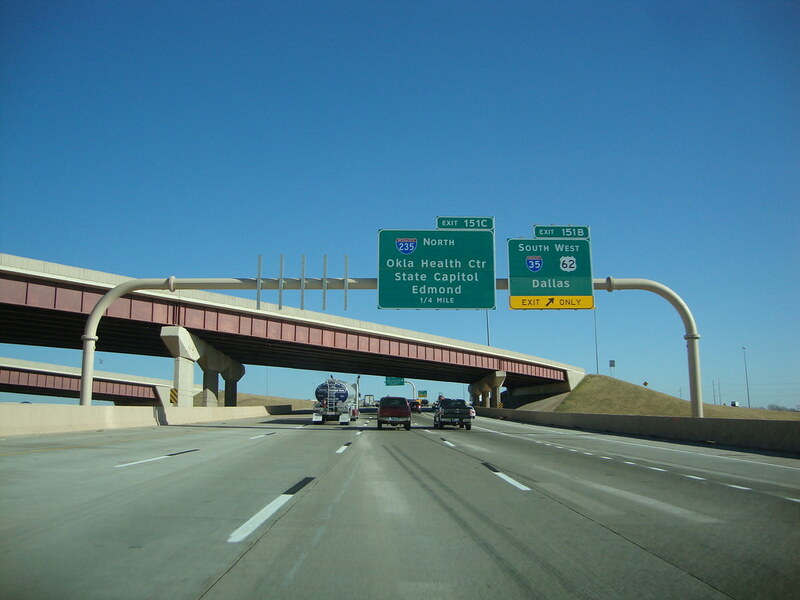 This interchange has since been reconstructed. 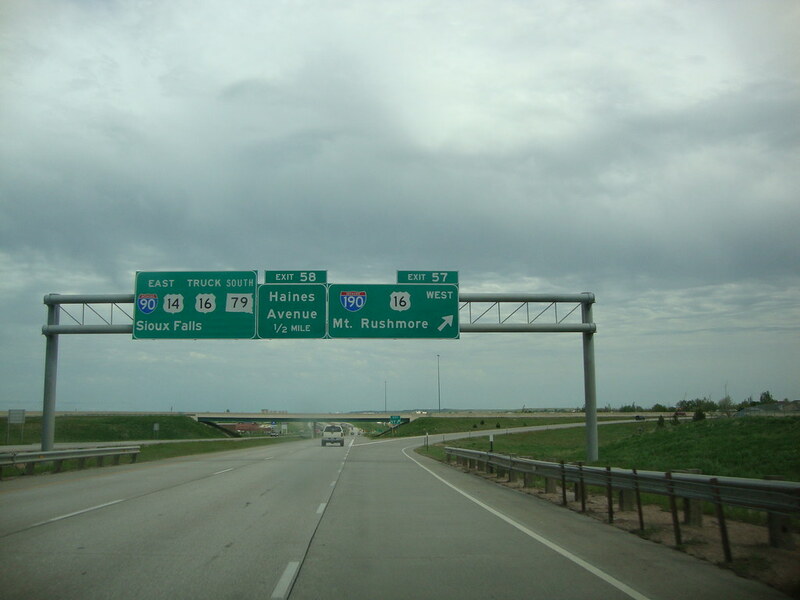 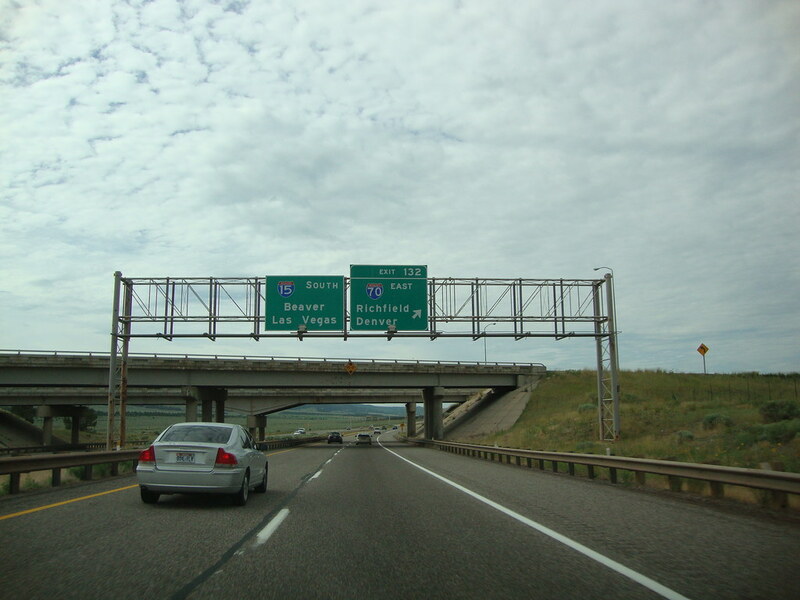 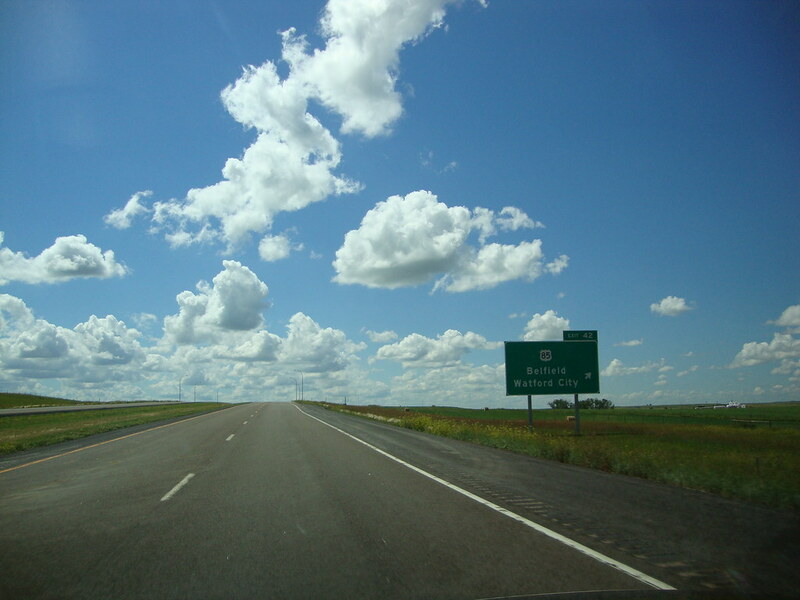 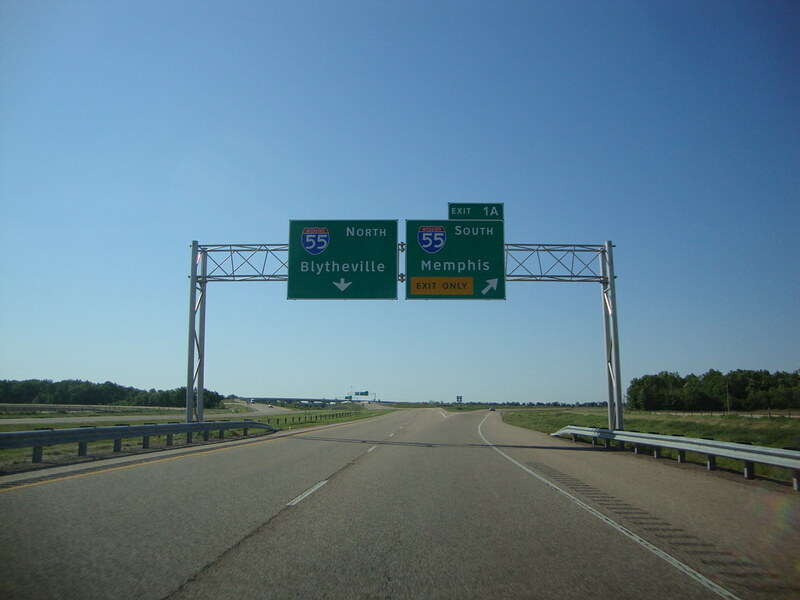 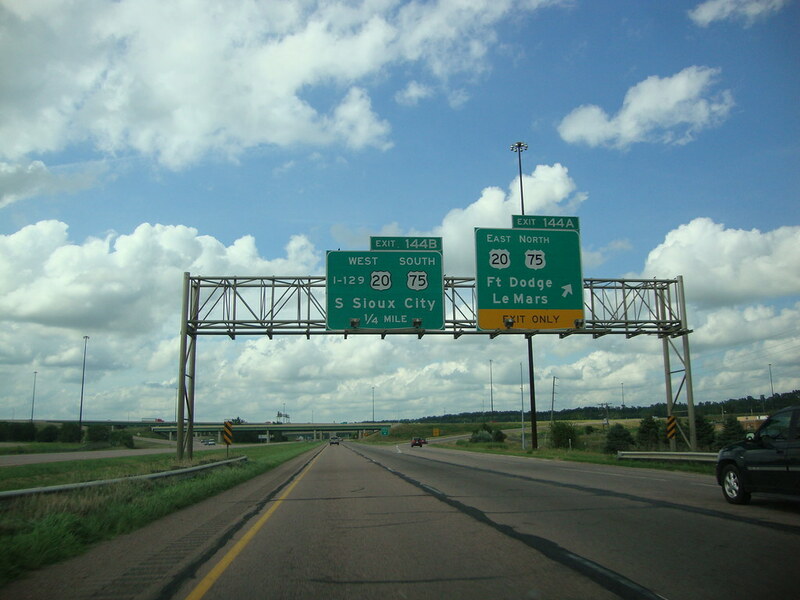 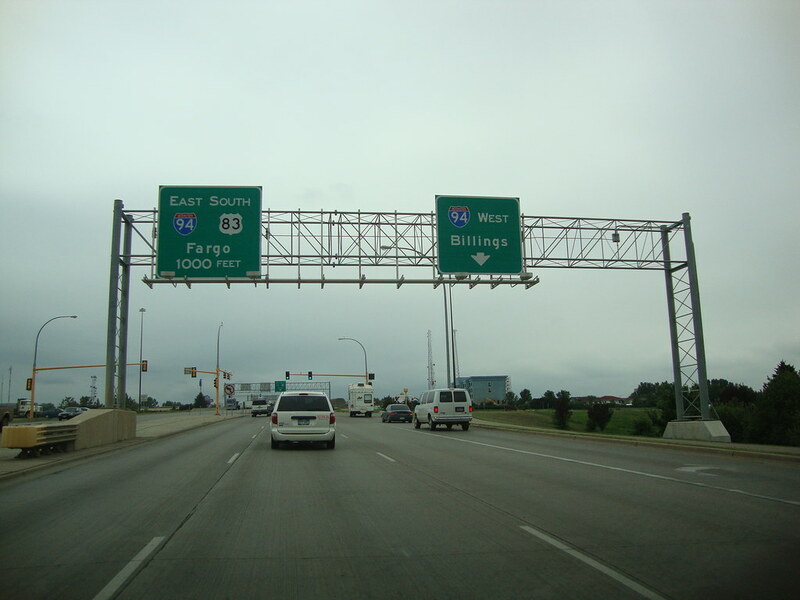 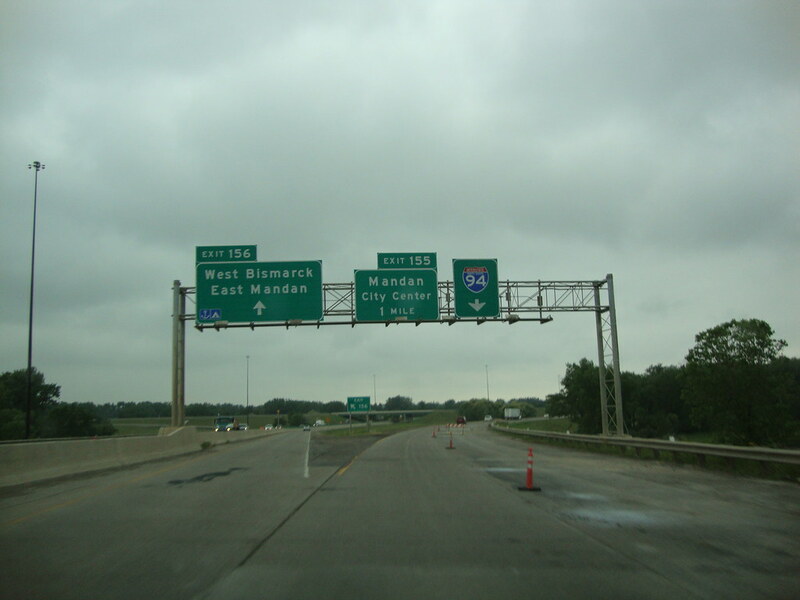 Description: Interstate 94 West at Exit 156 - West Bismarck/East Mandan. 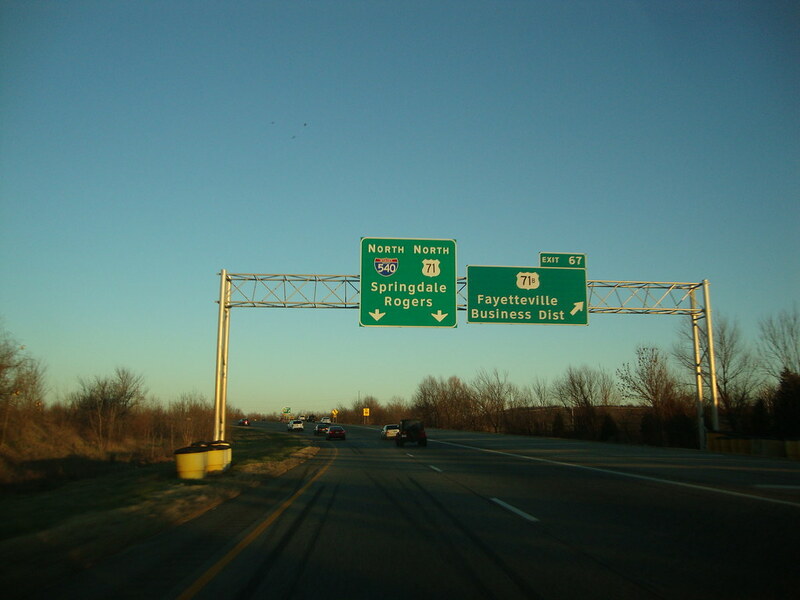 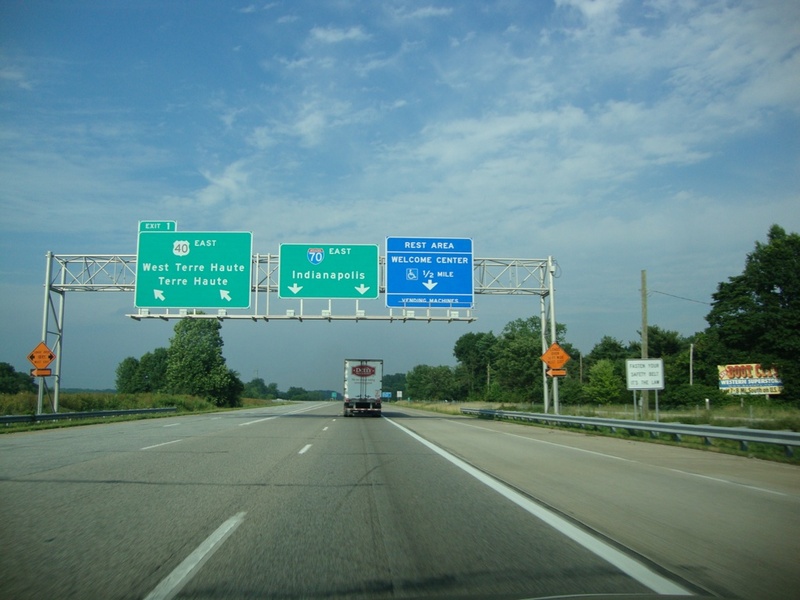 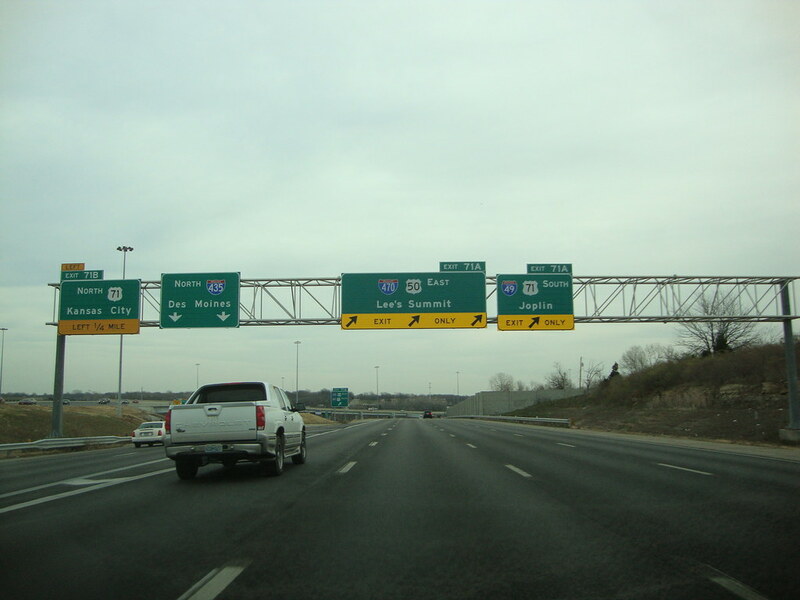 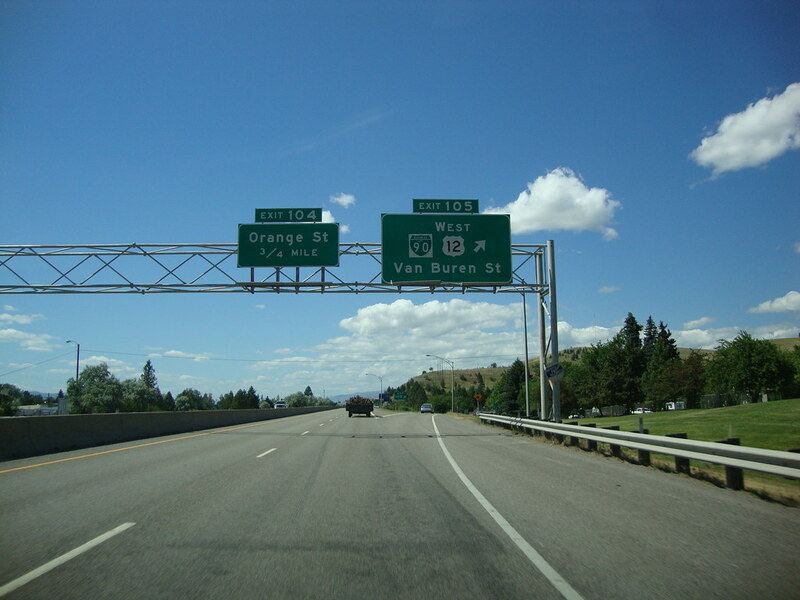 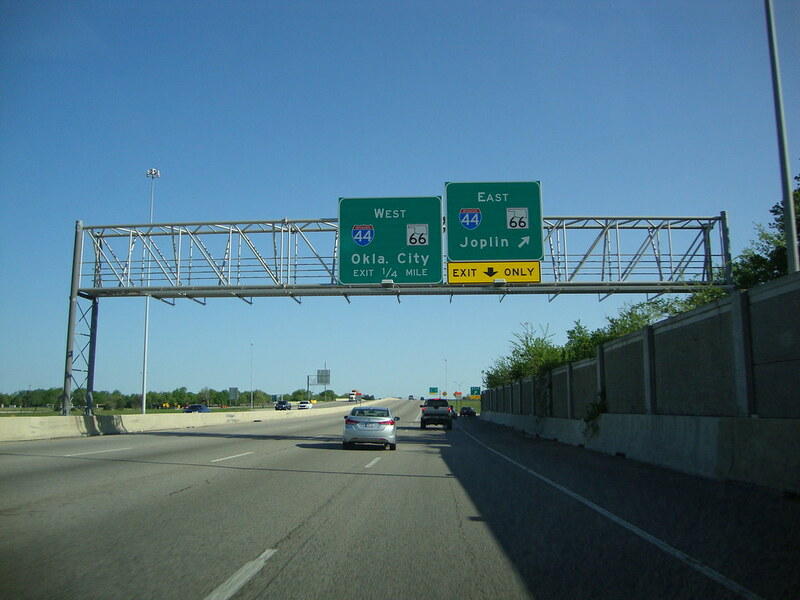 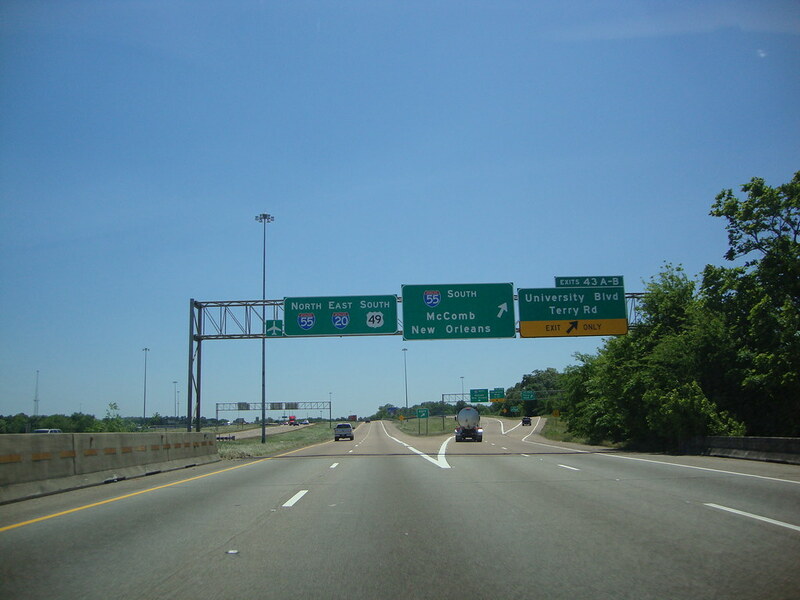 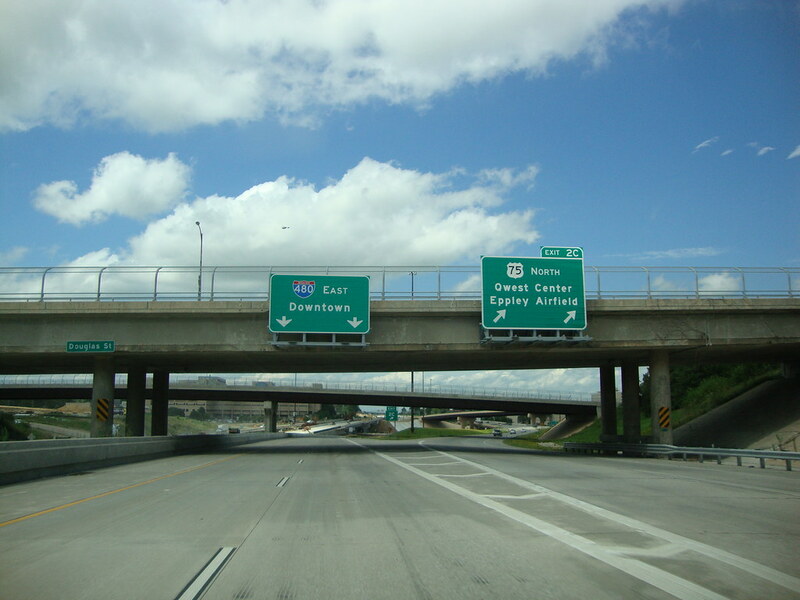 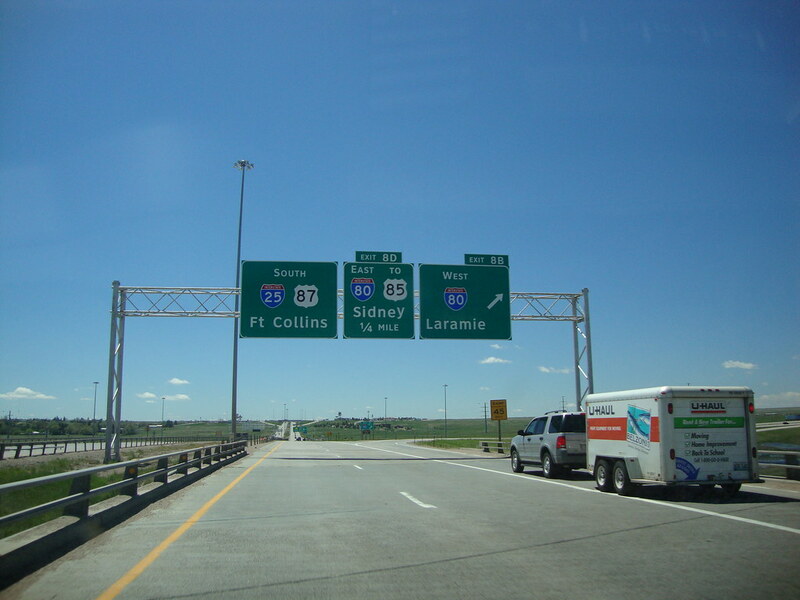 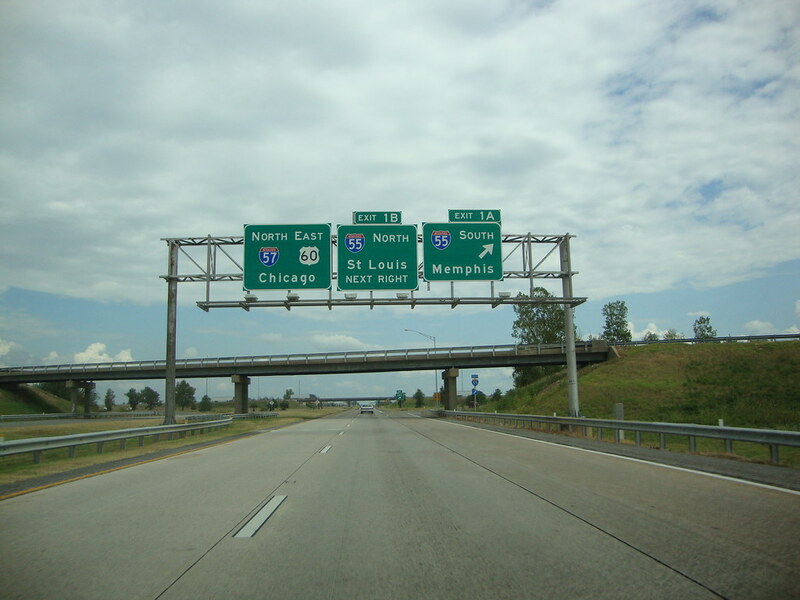 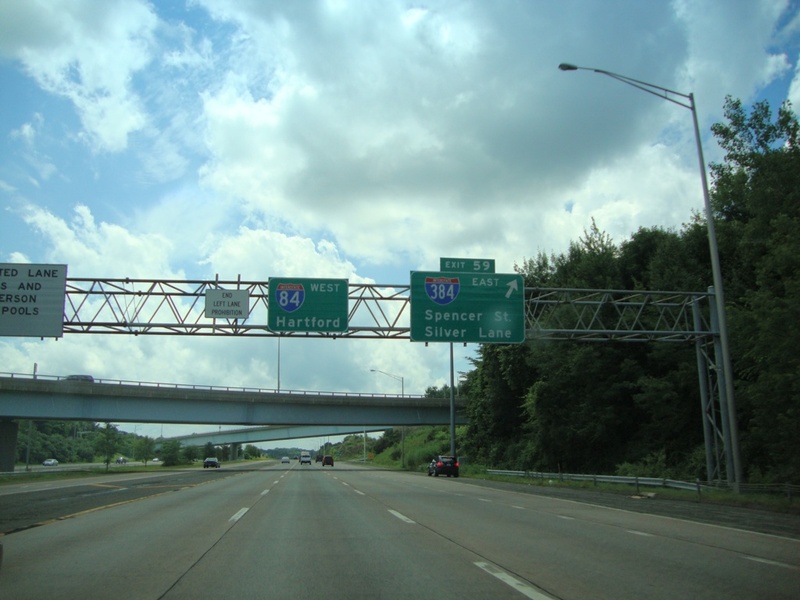 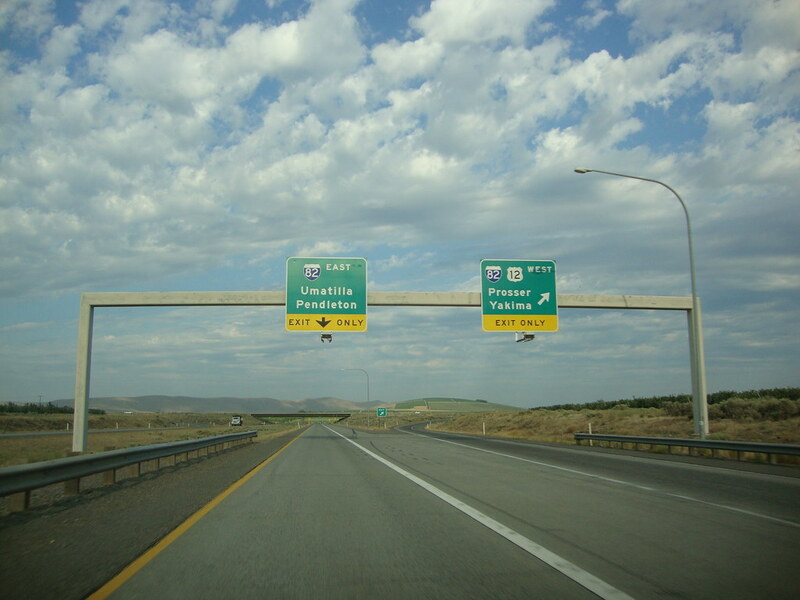 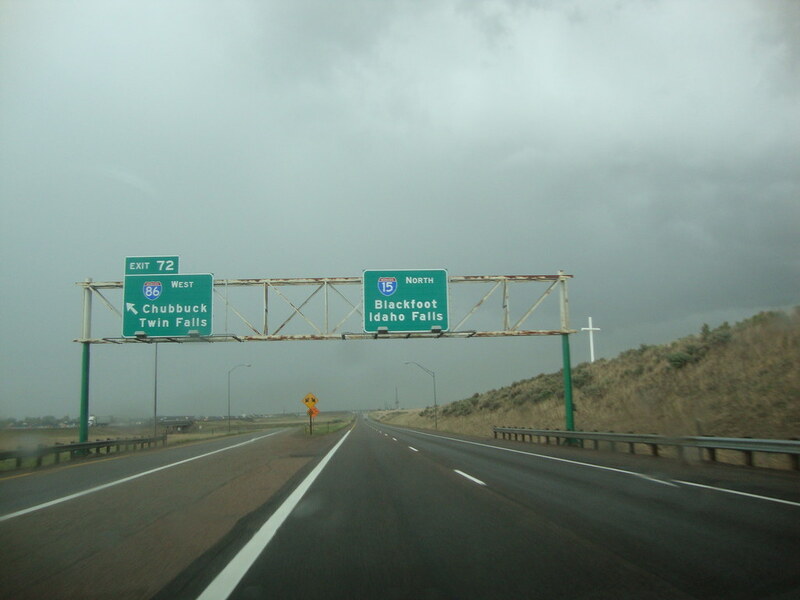 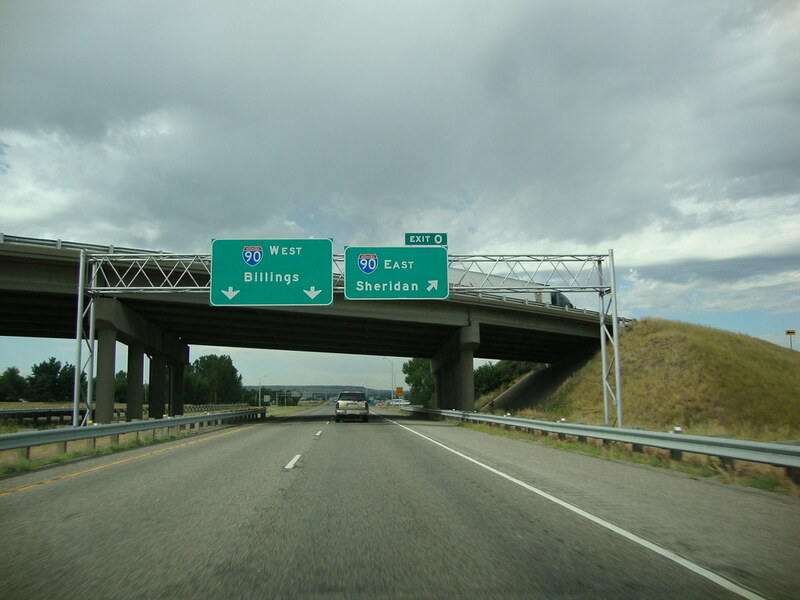 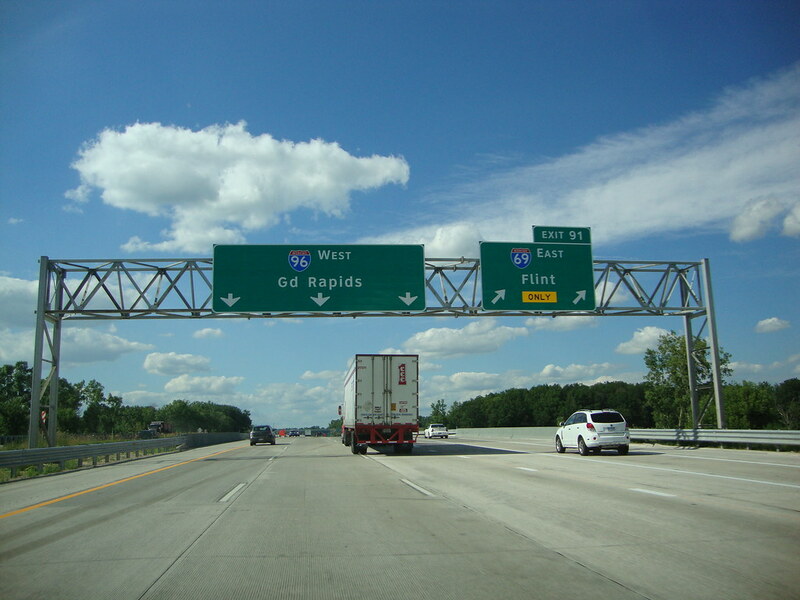 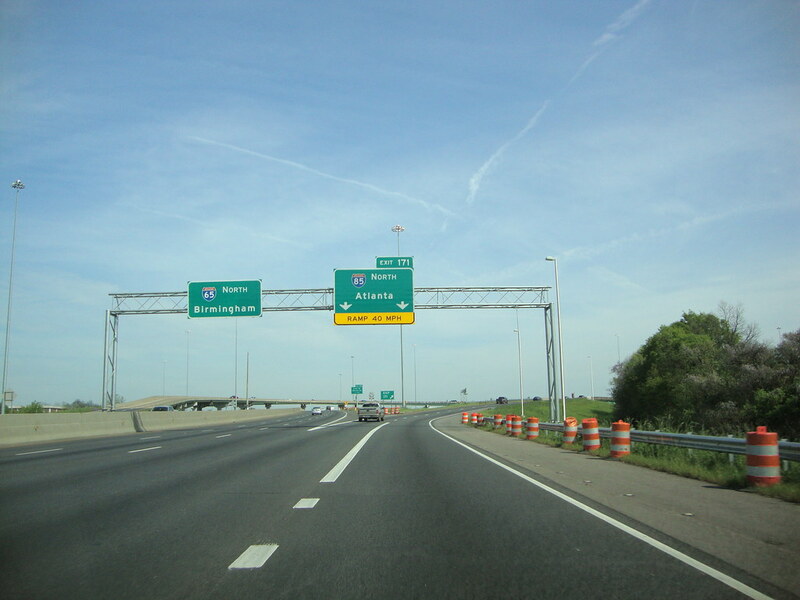 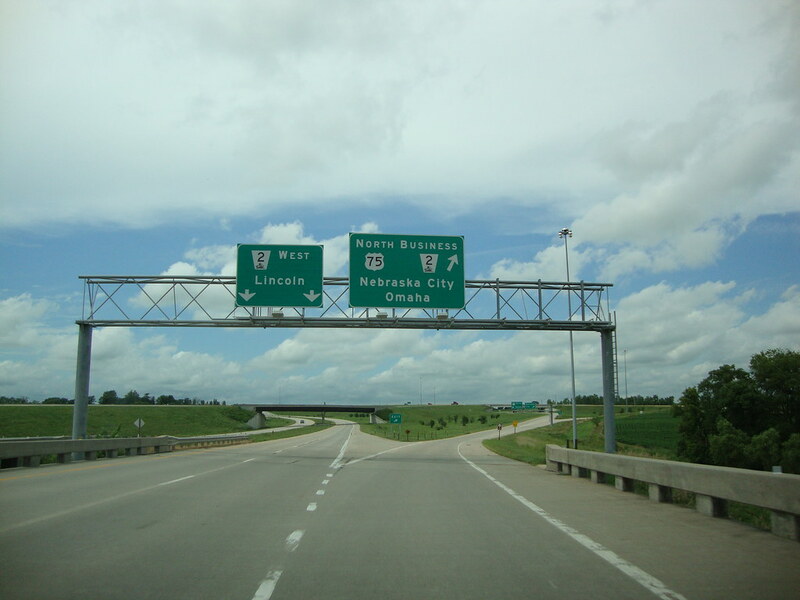 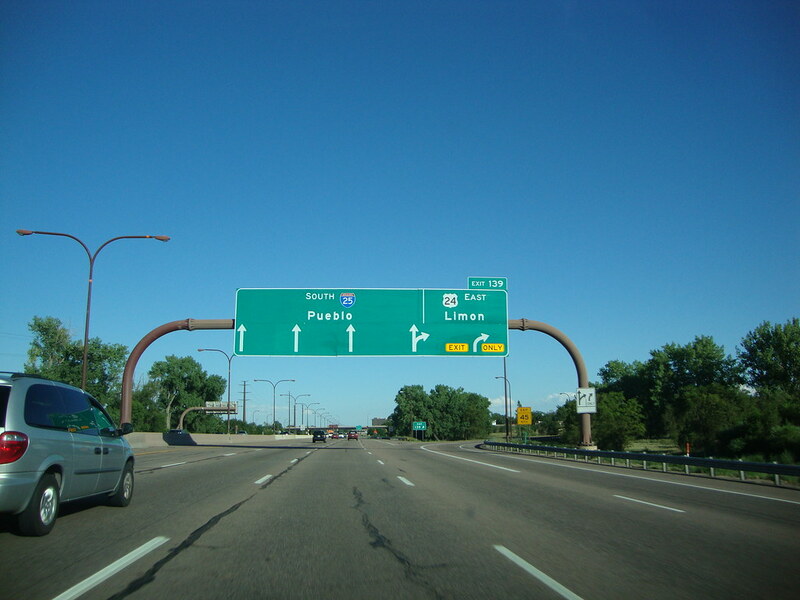 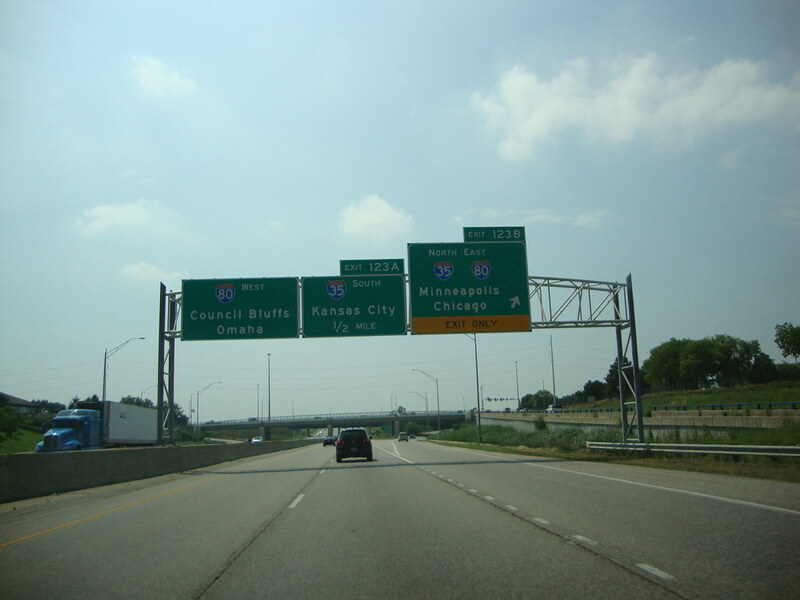 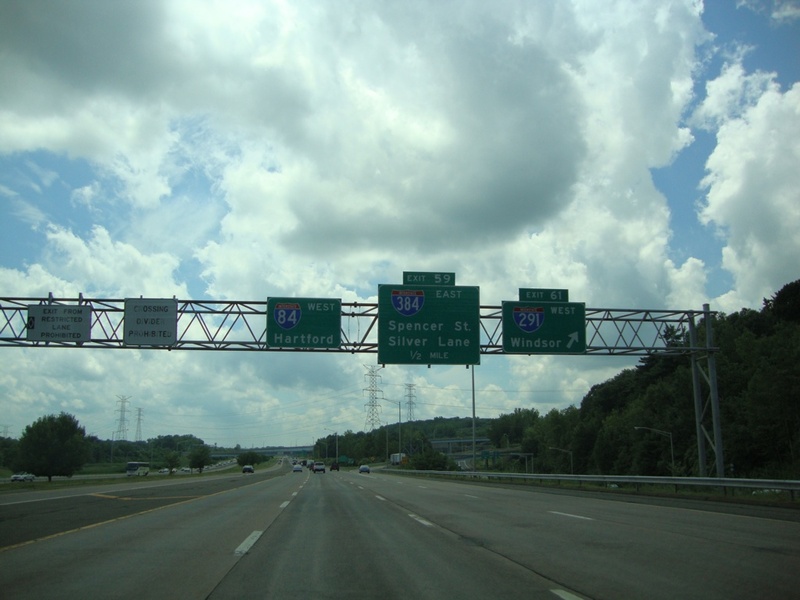 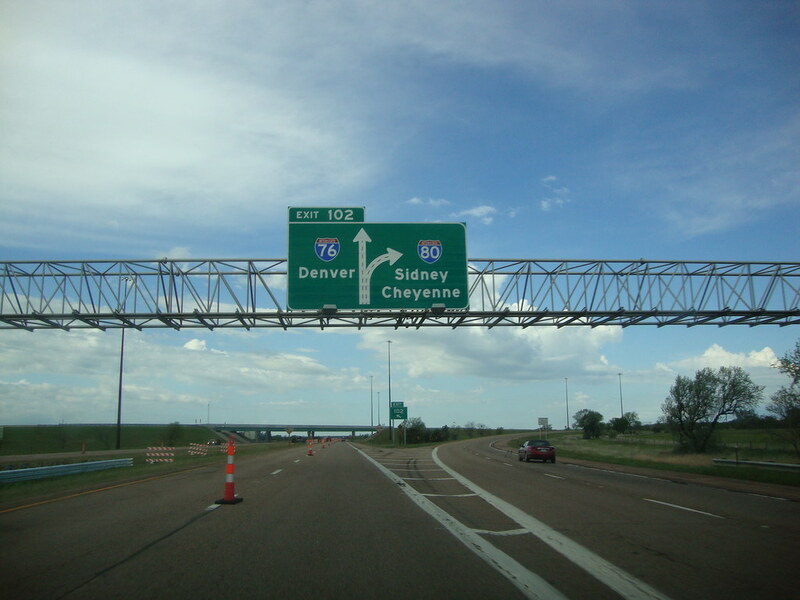 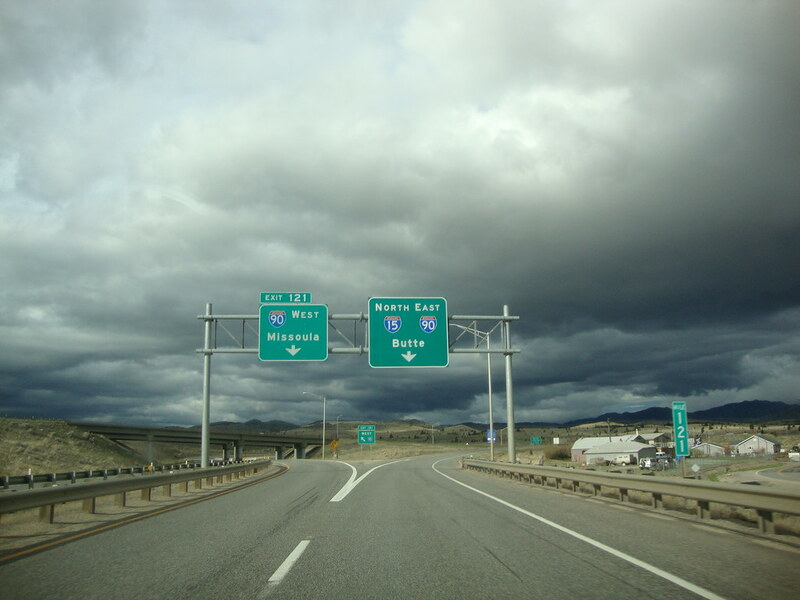 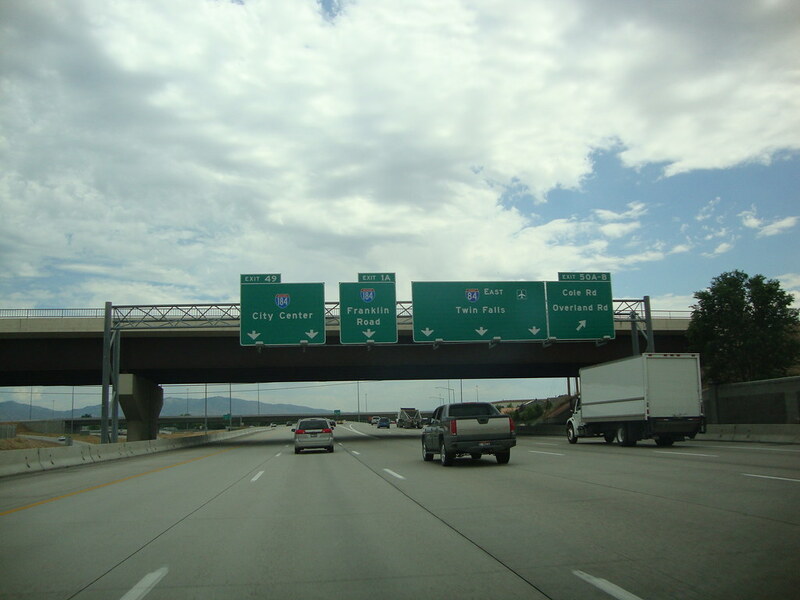 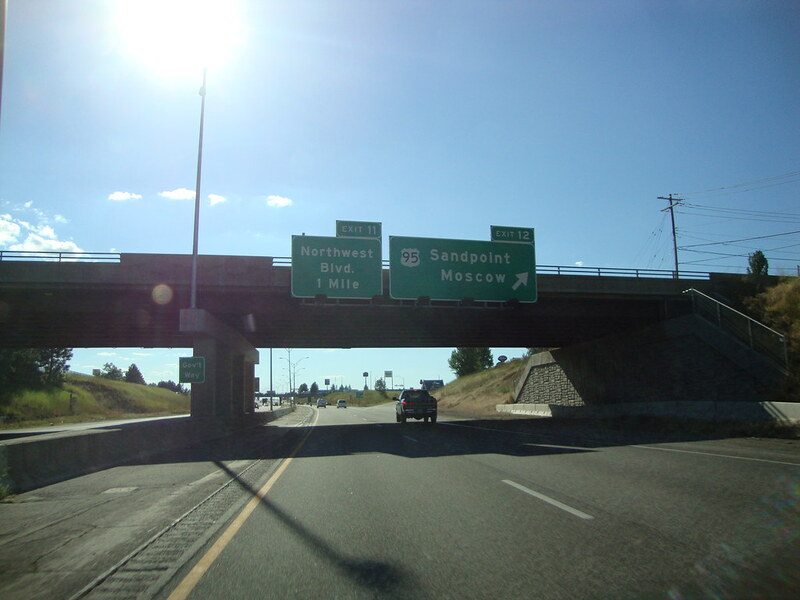 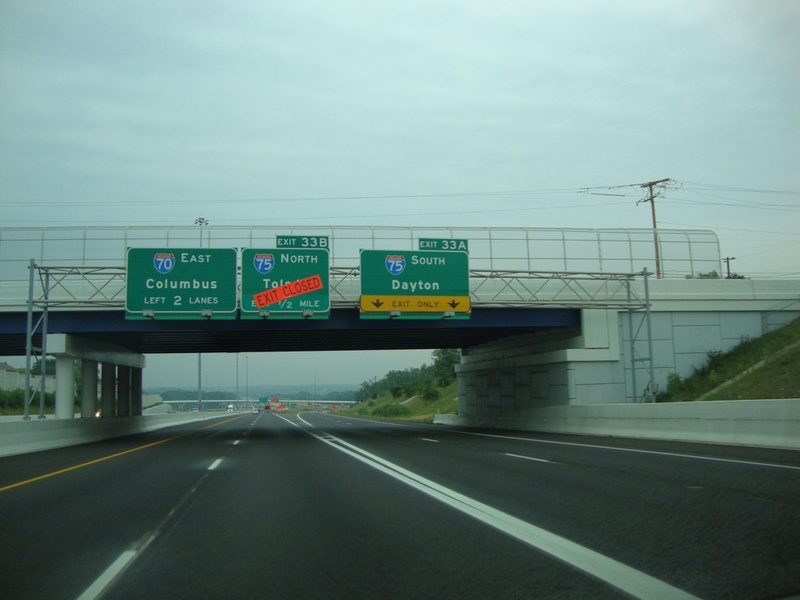 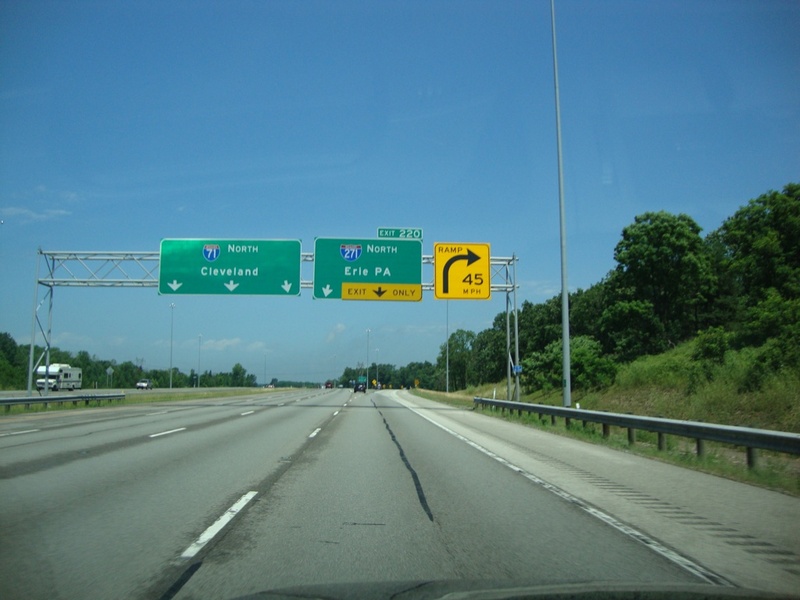 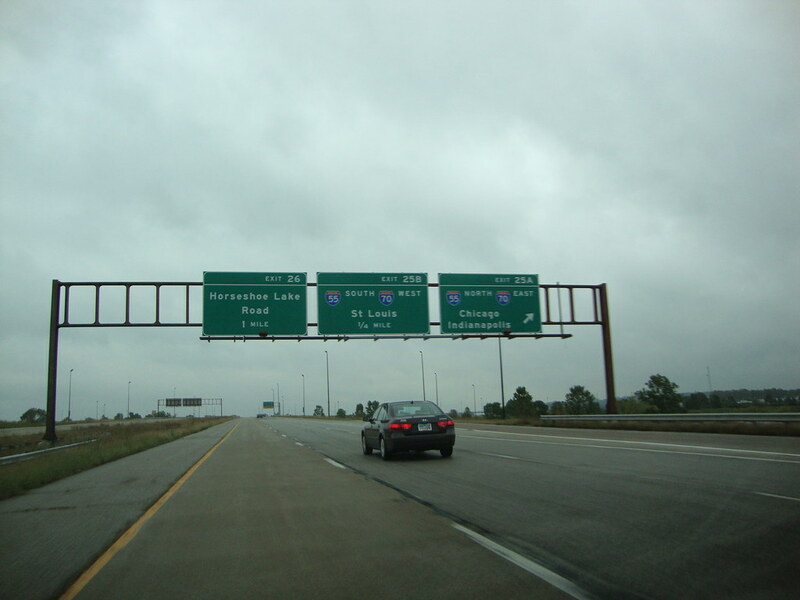 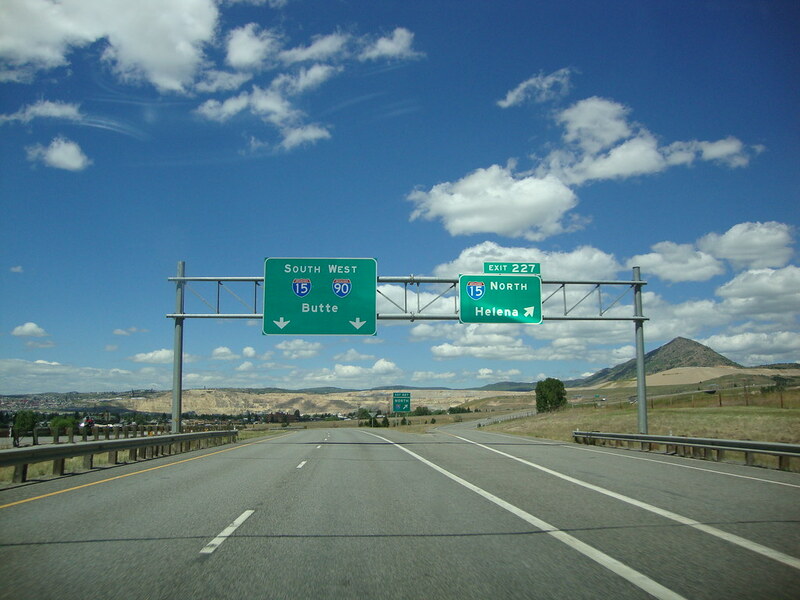 This interchange is the western terminus of hidden Interstate 194. 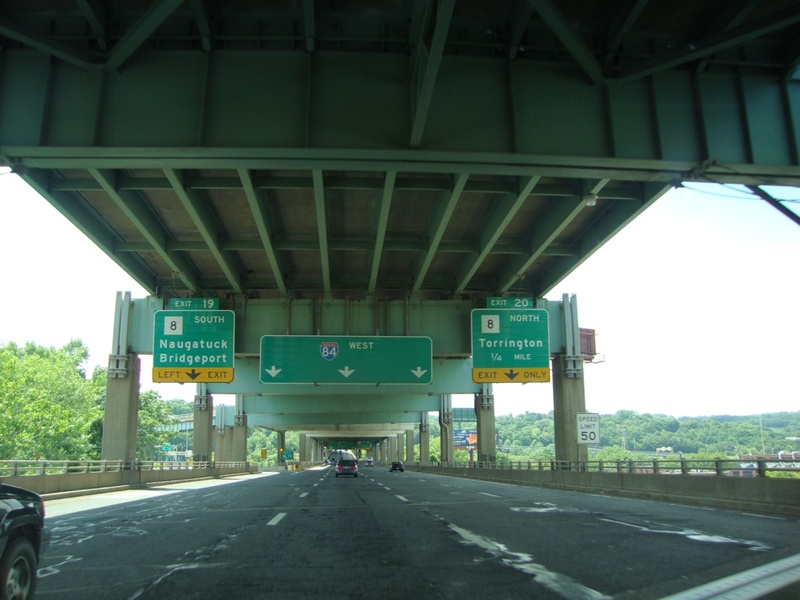 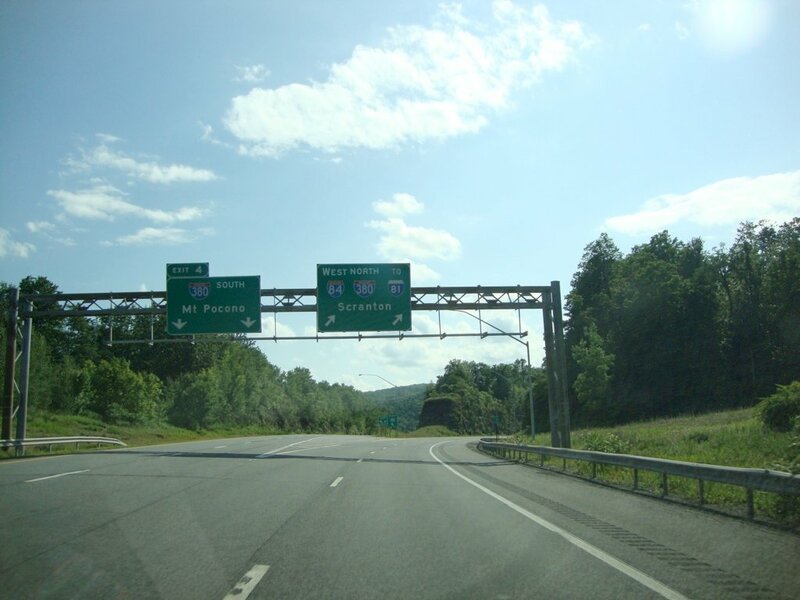 Description: Interstate 295 North at Exit 28 - NJ 168/NJ Turnpike - Bellmawr/Runnemede/Mt. 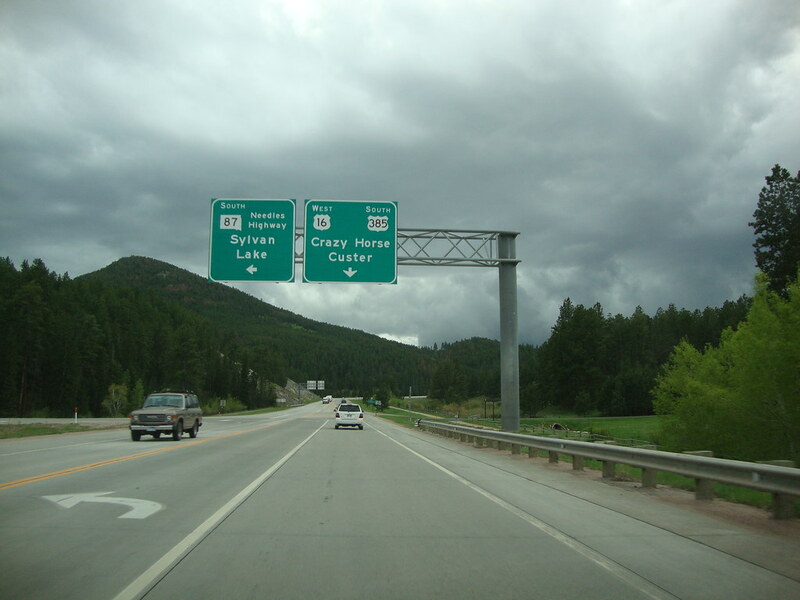 Ephraim. 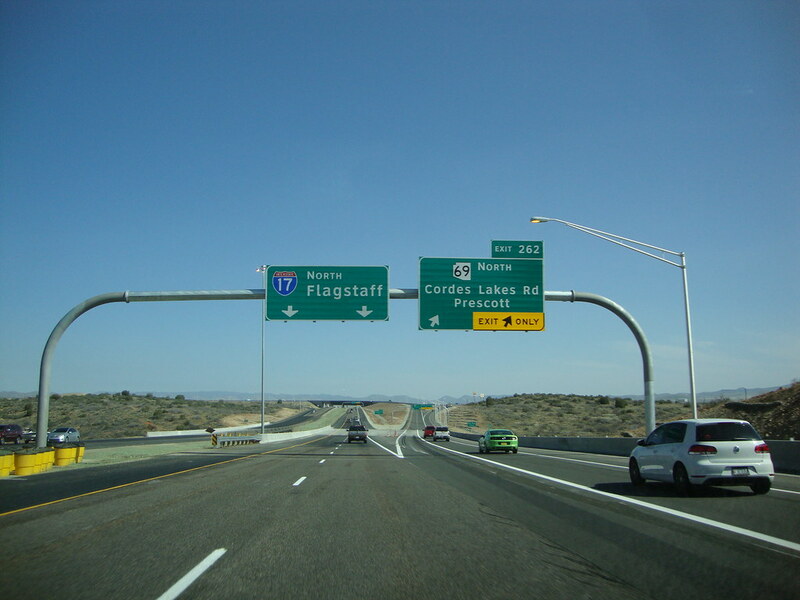 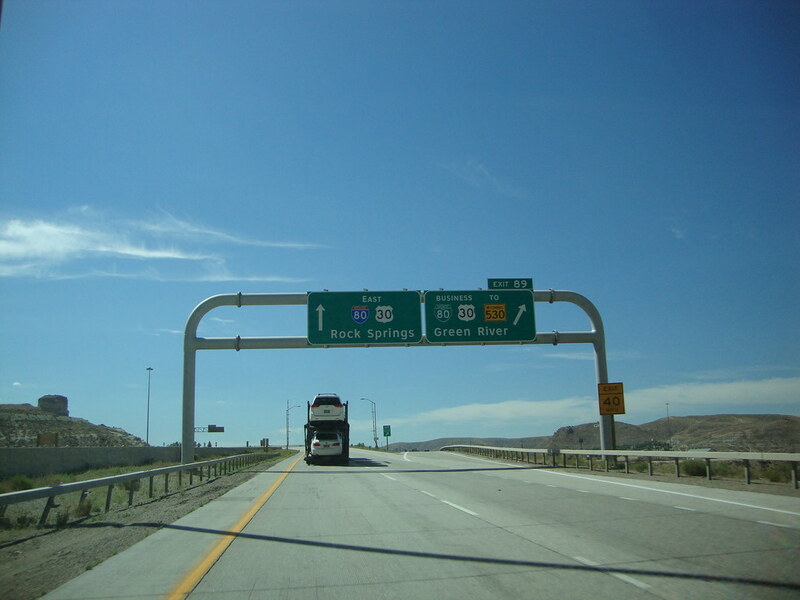 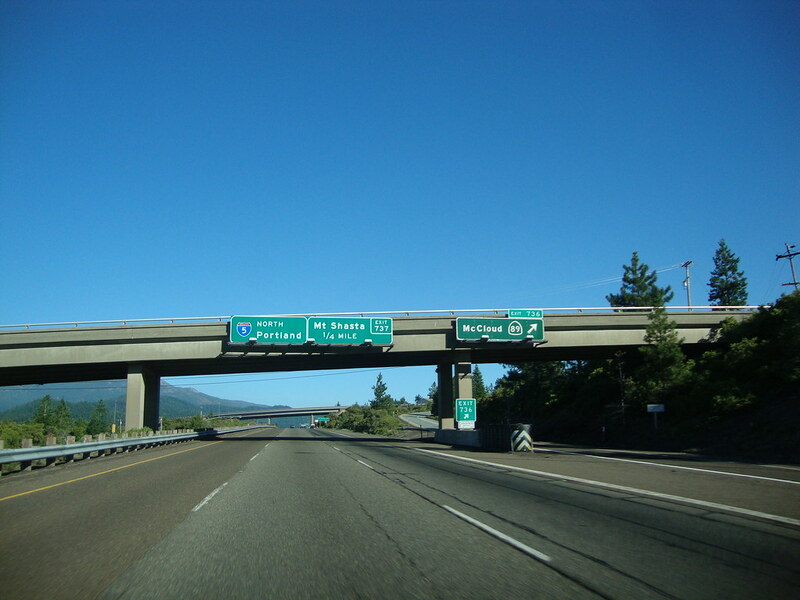 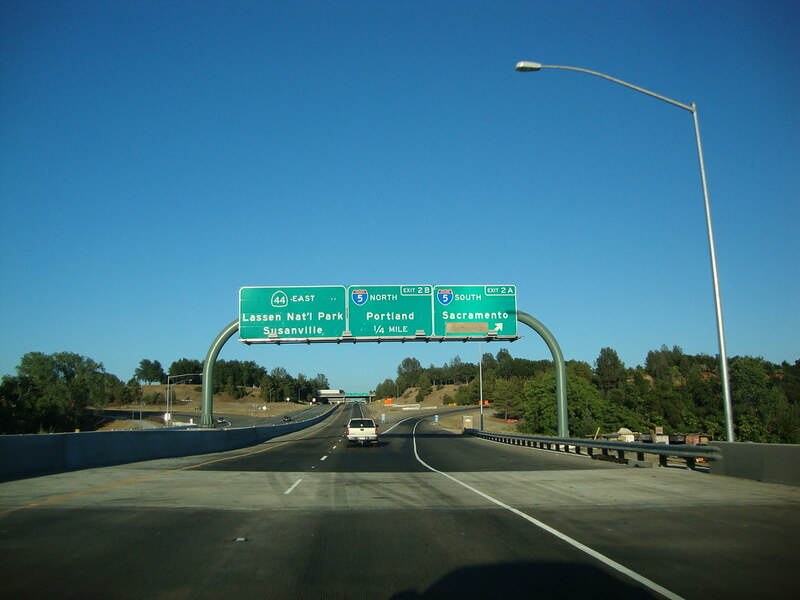 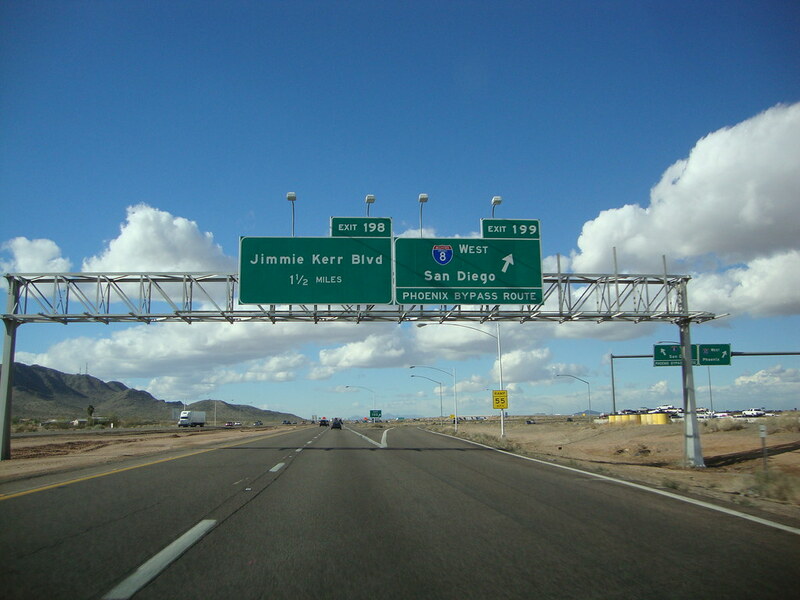 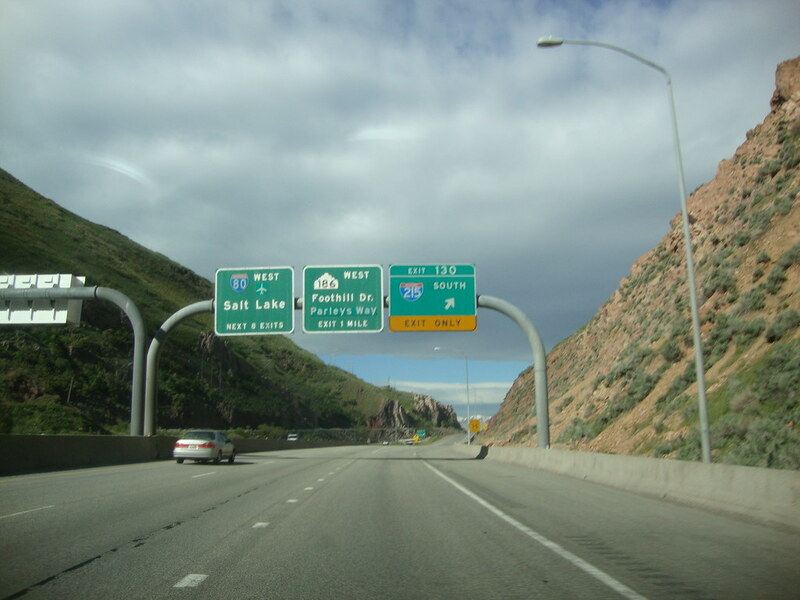 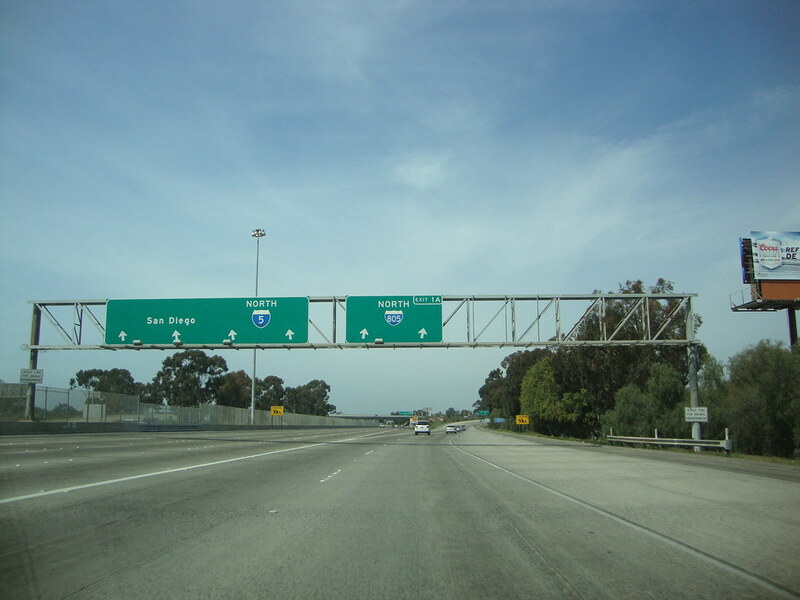 Description: Interstate 15 North at Exit 42B - Interstate 515/U.S. 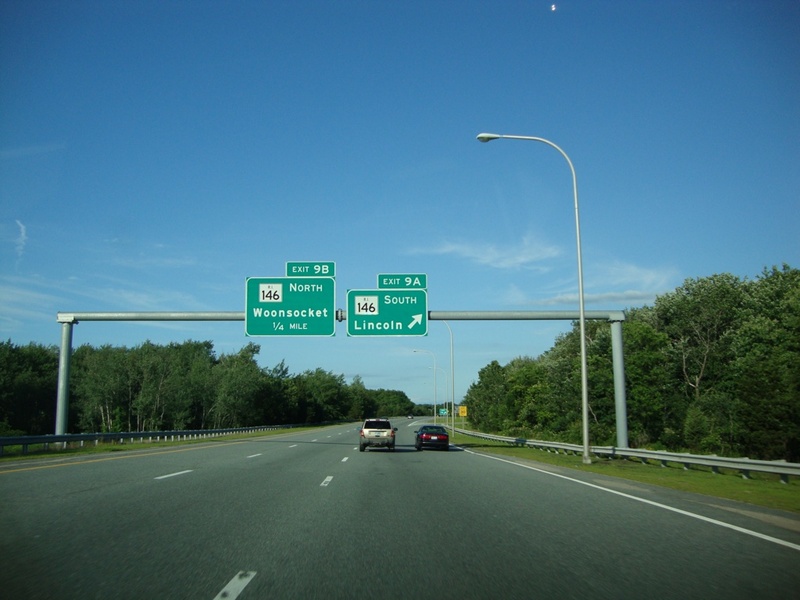 93/U.S. 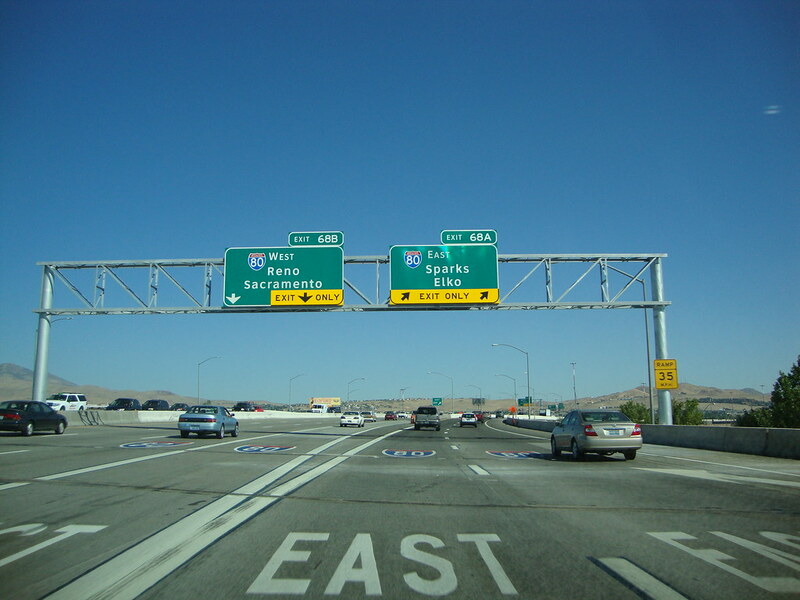 95 South - Phoenix/Downtown Las Vegas. 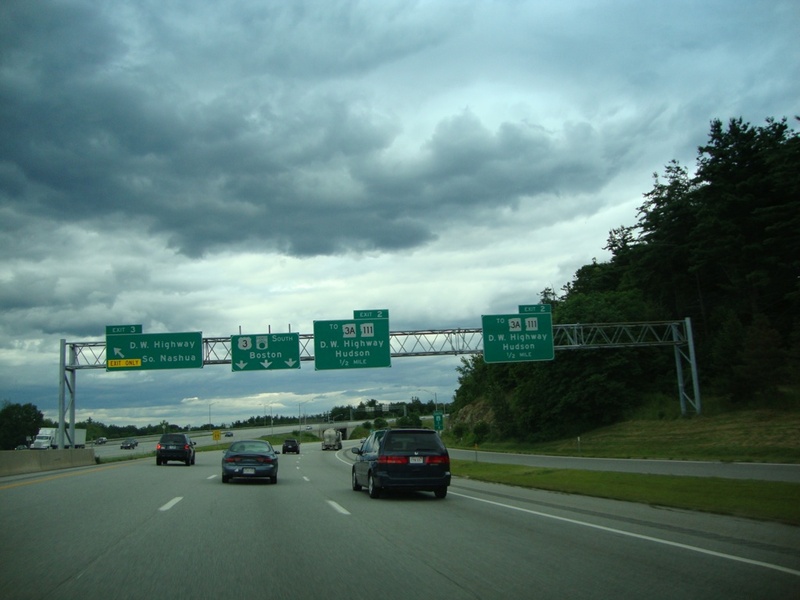 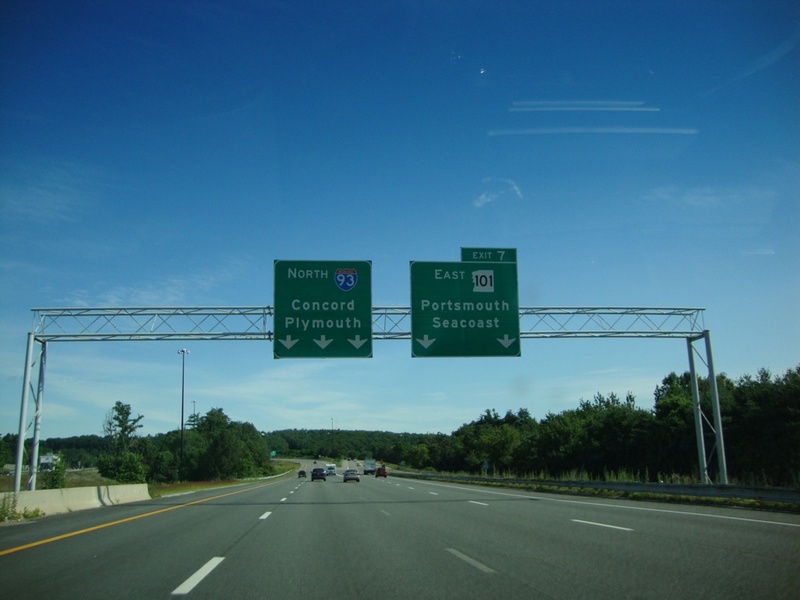 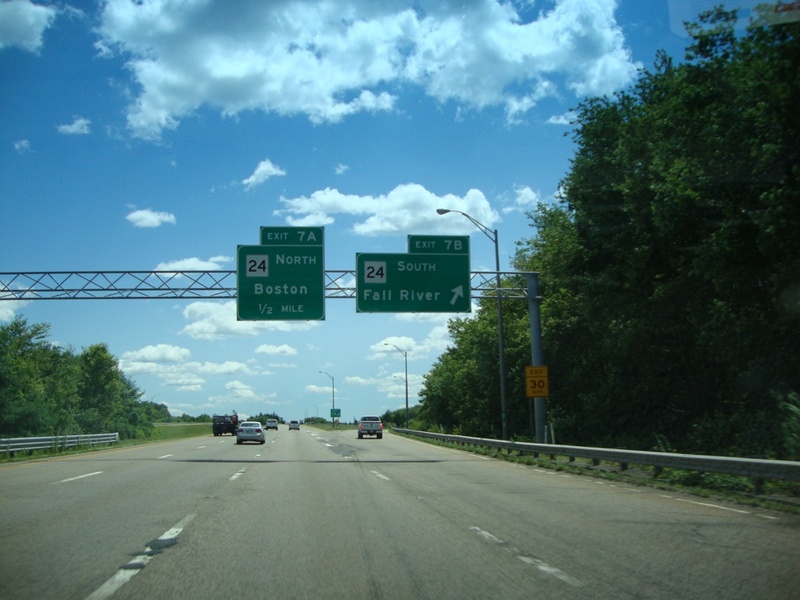 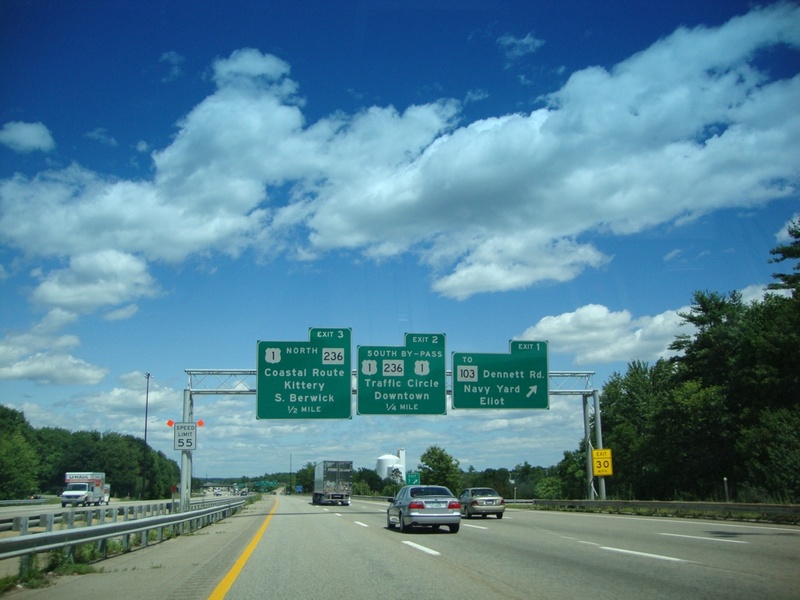 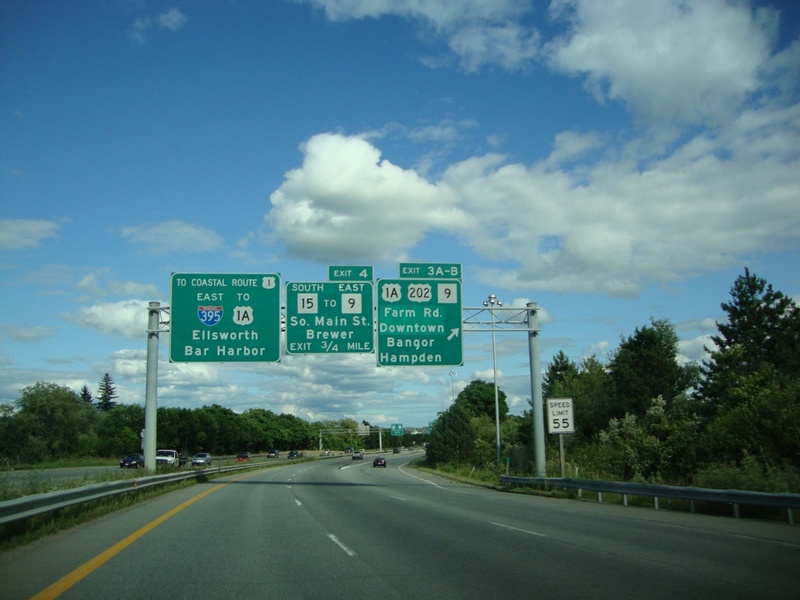 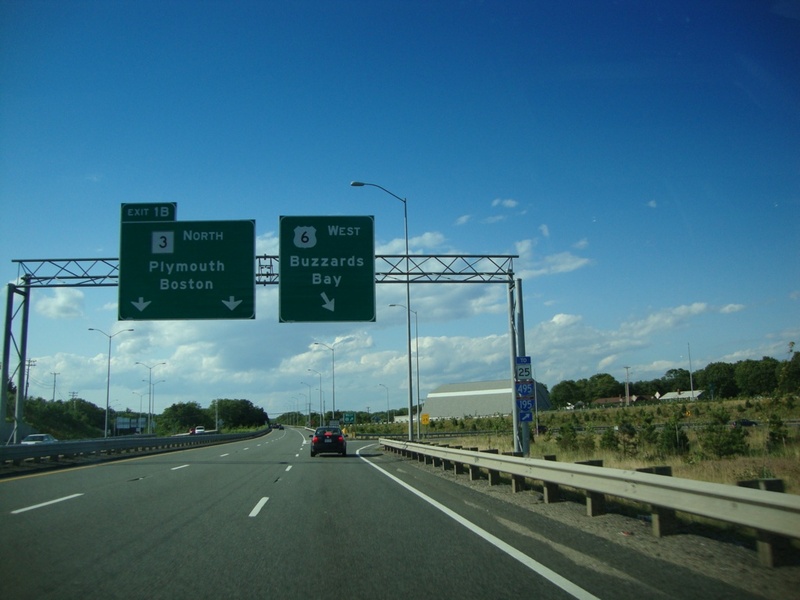 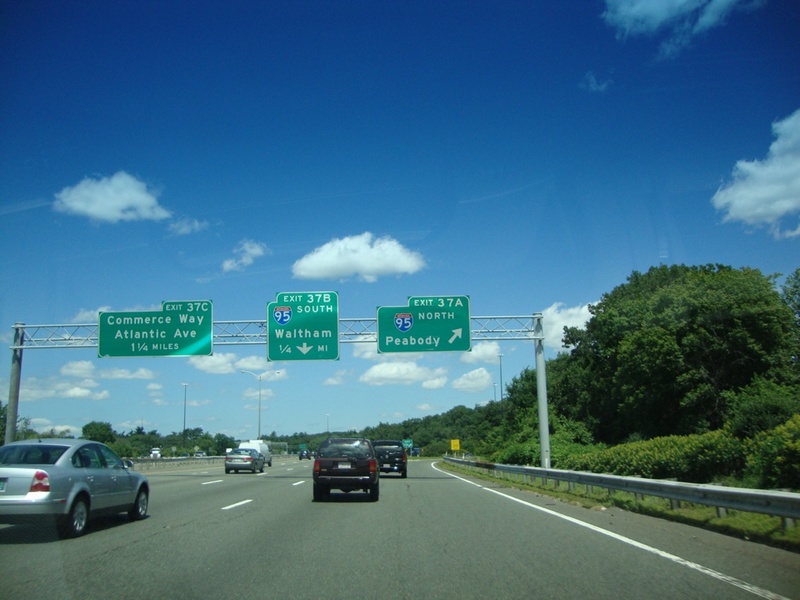 Description: U.S. 6 West at Exit 1B - MA 3 North - Plymouth/Boston. 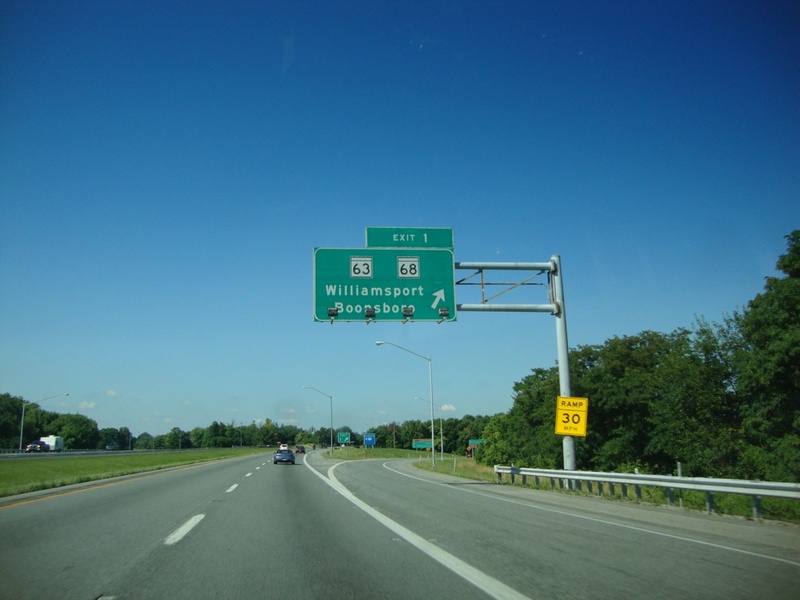 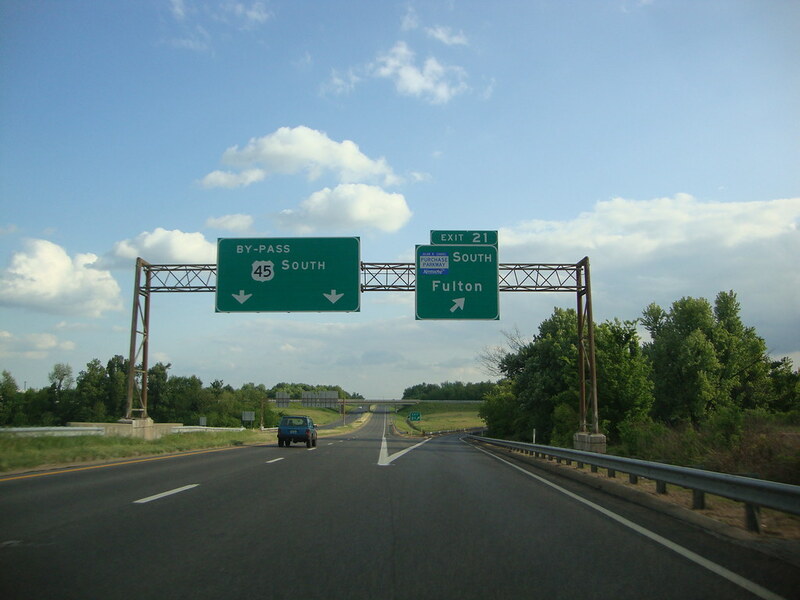 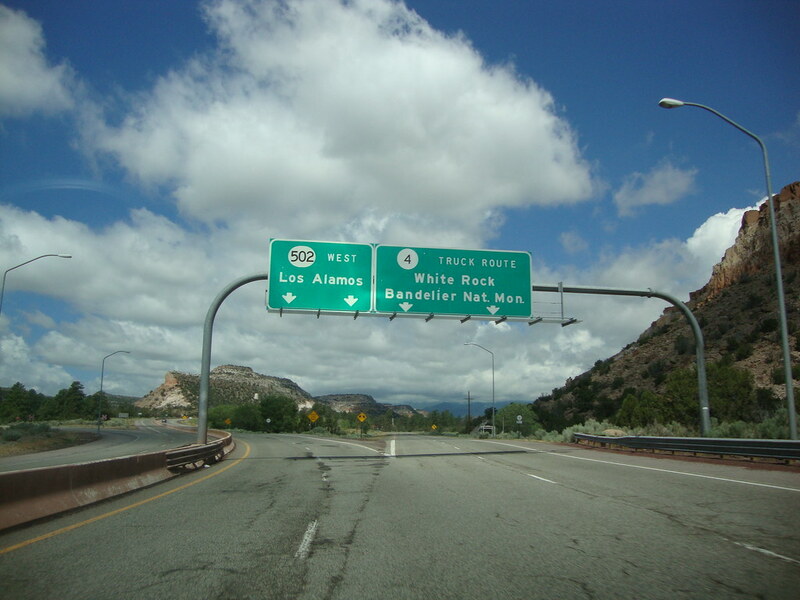 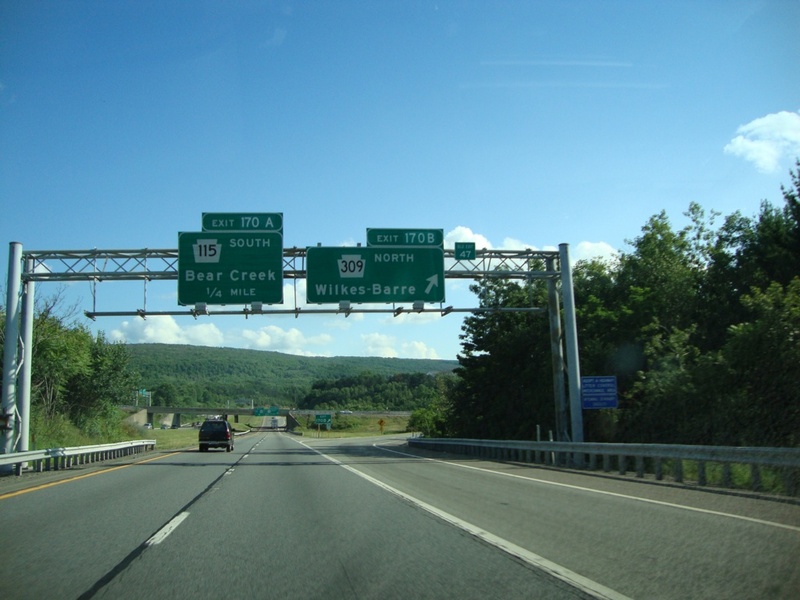 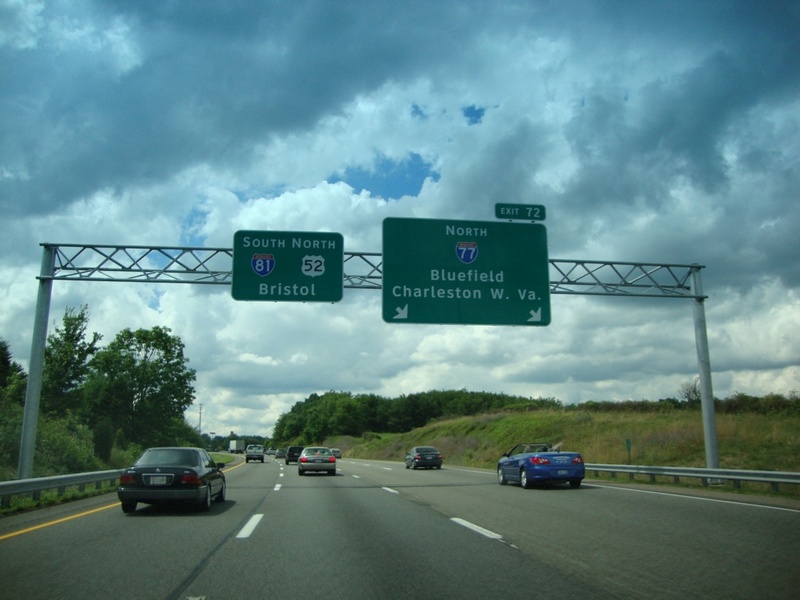 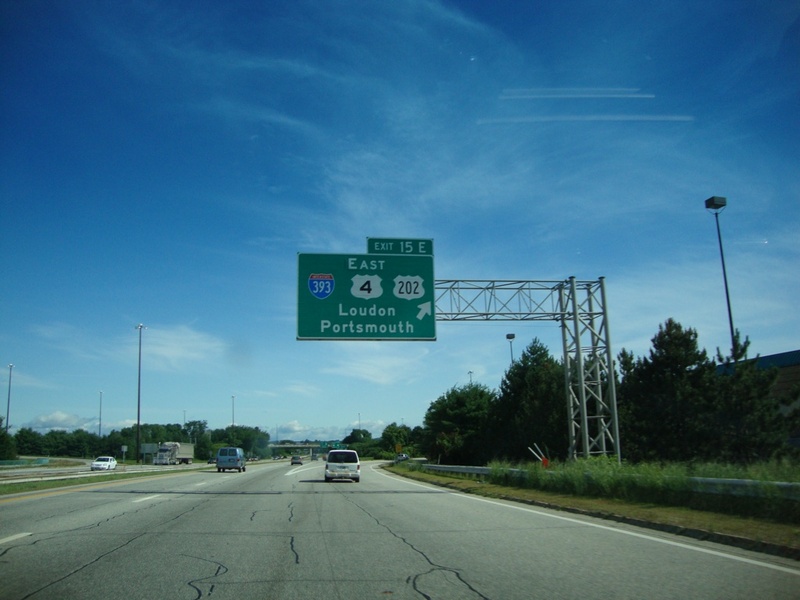 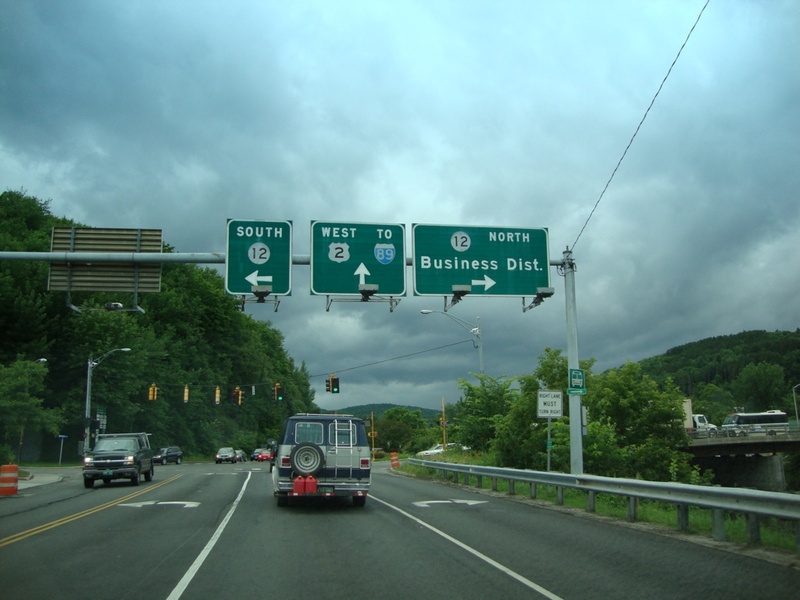 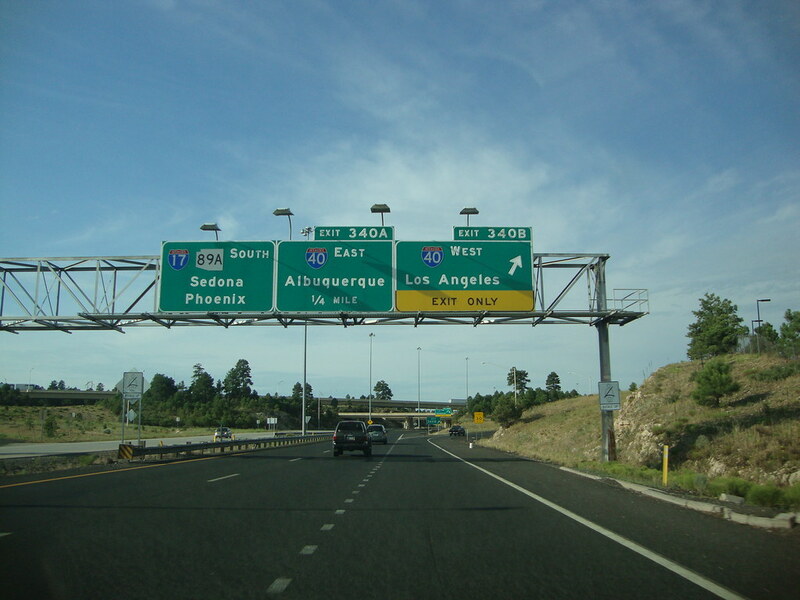 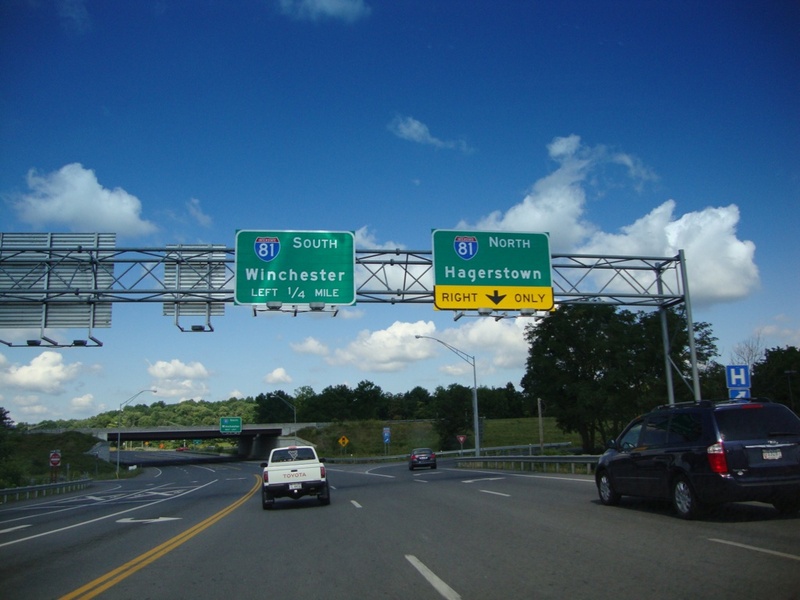 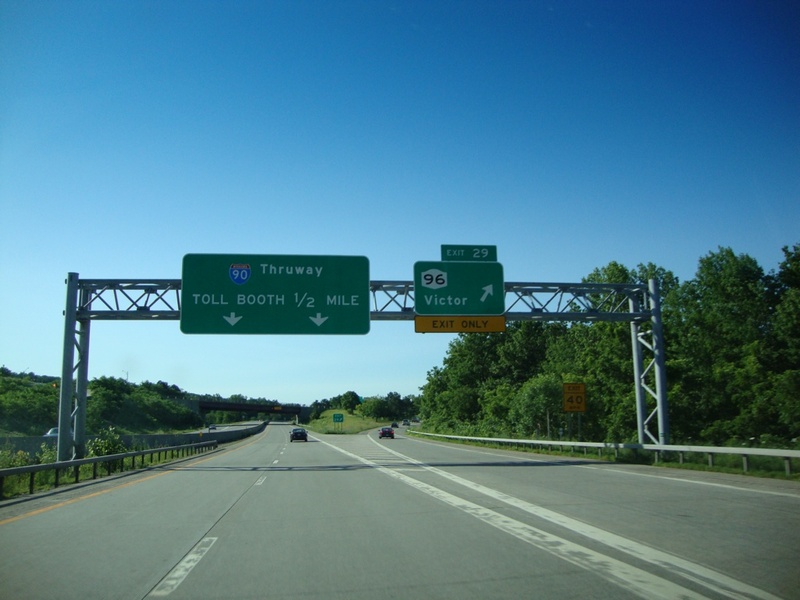 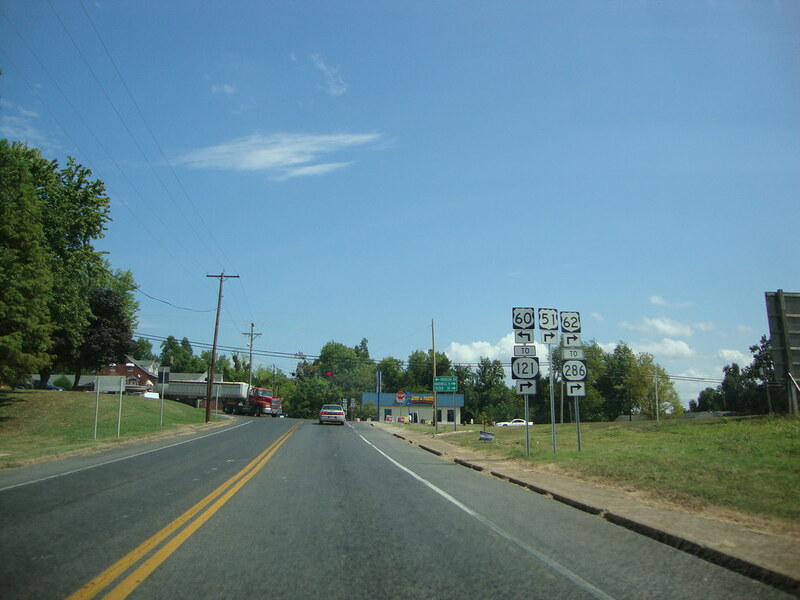 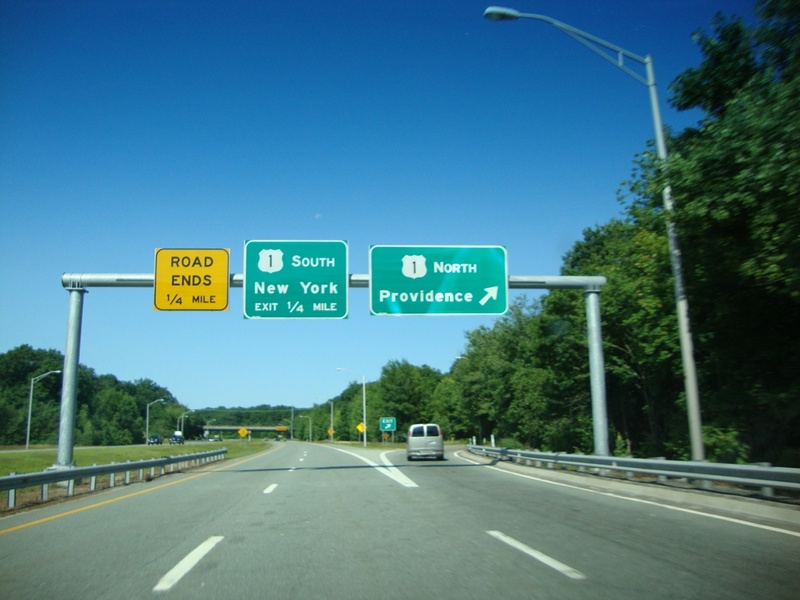 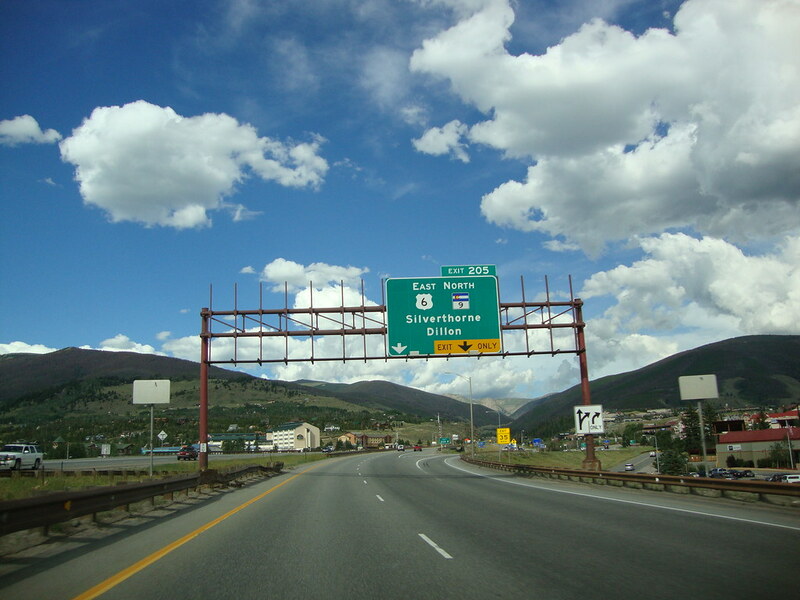 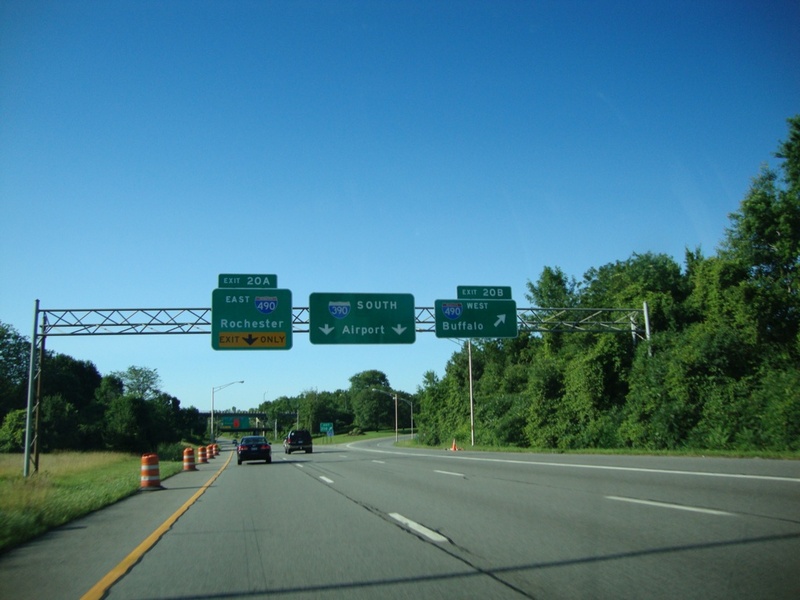 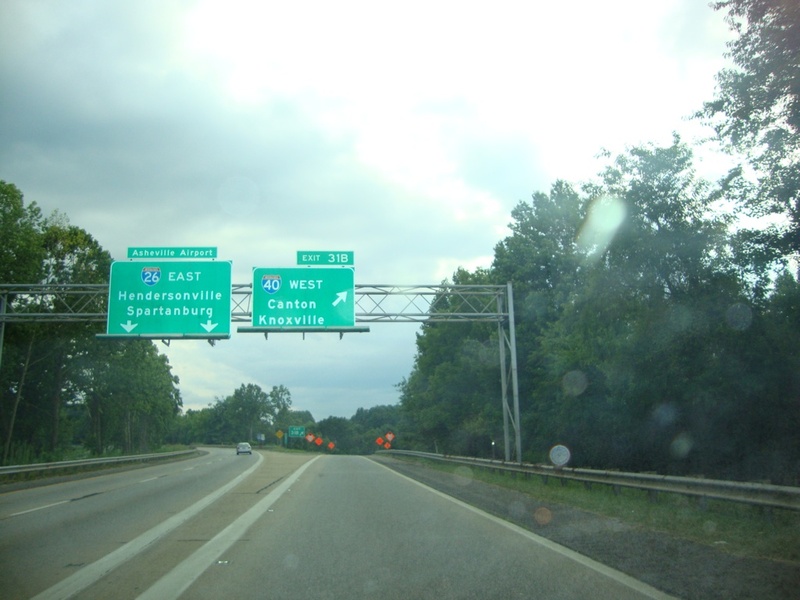 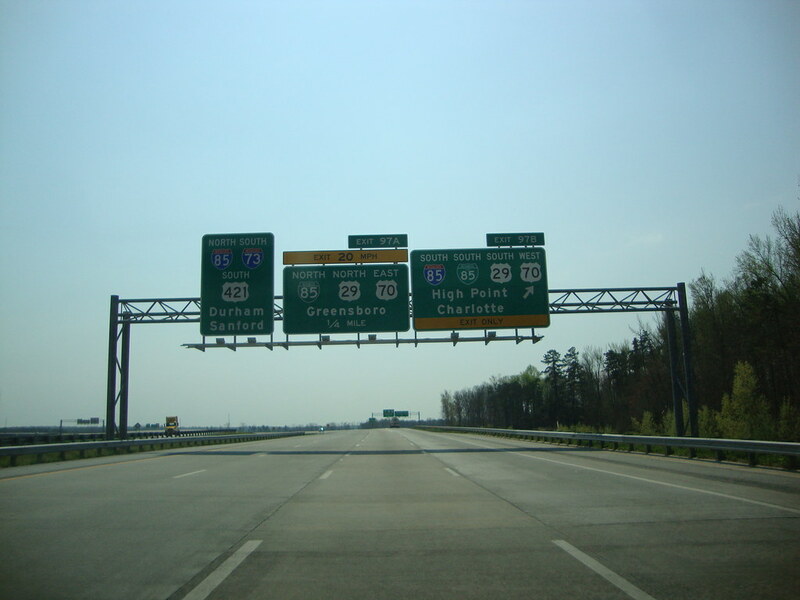 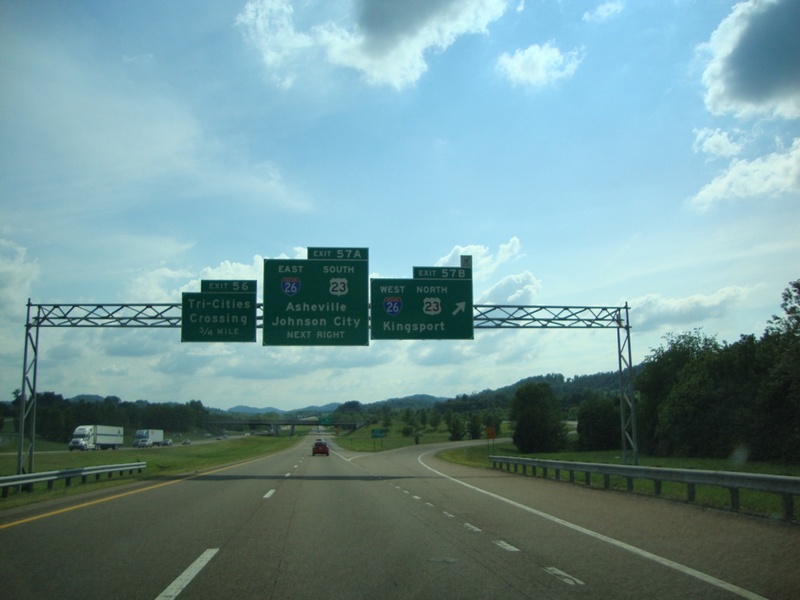 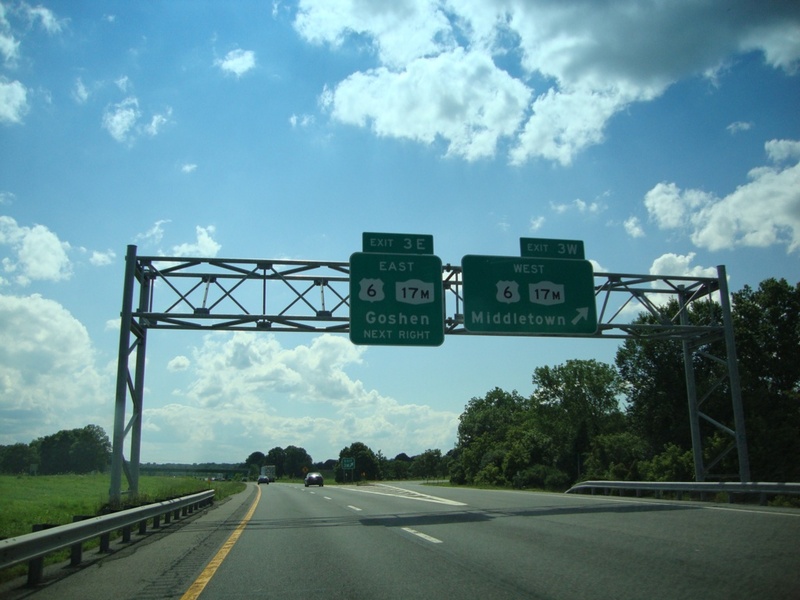 U.S. 6 exits off the mainline. 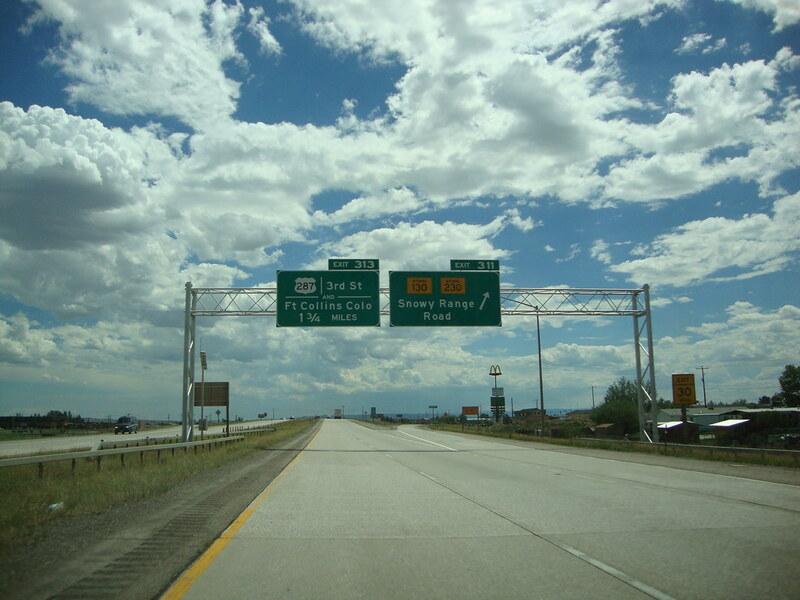 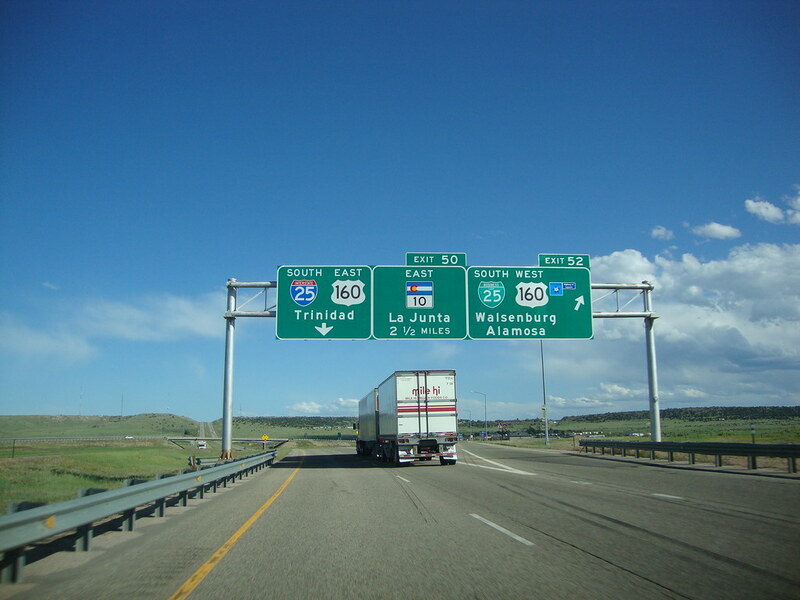 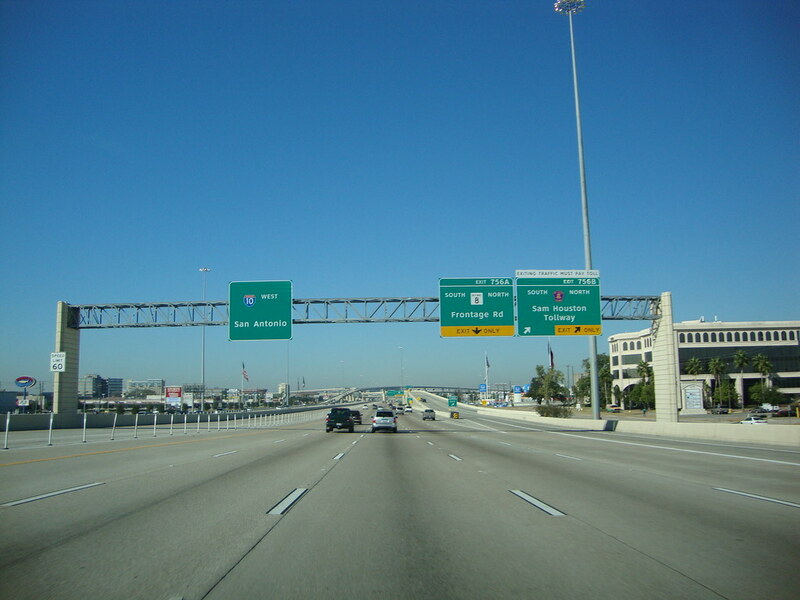 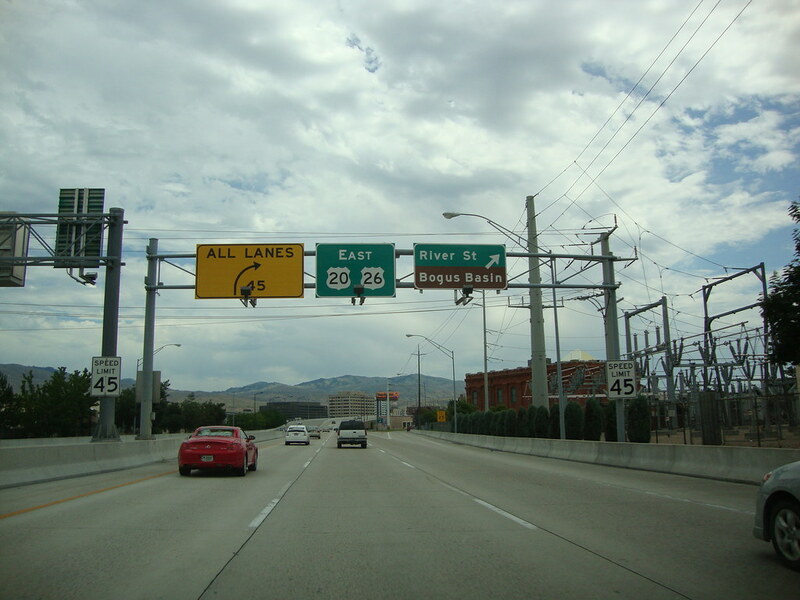 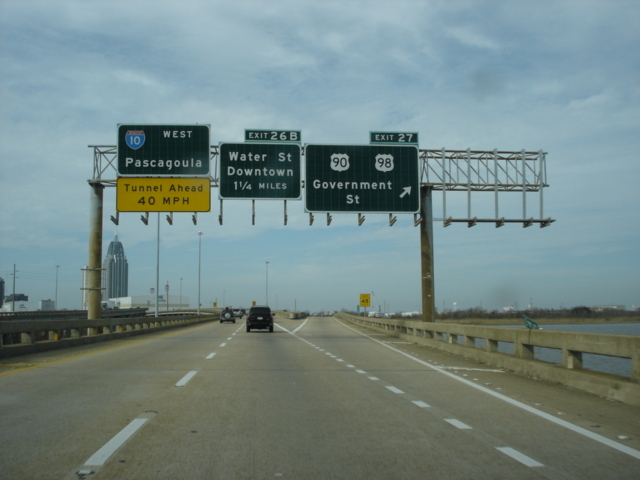 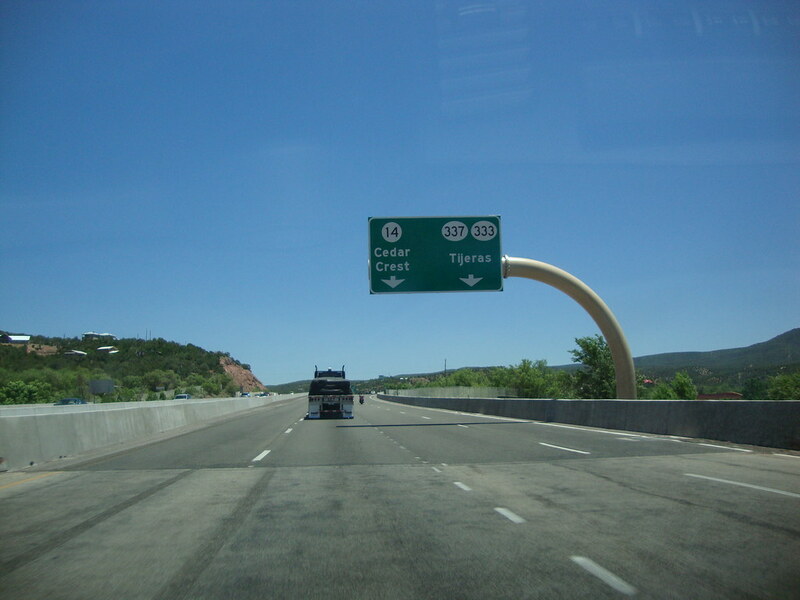 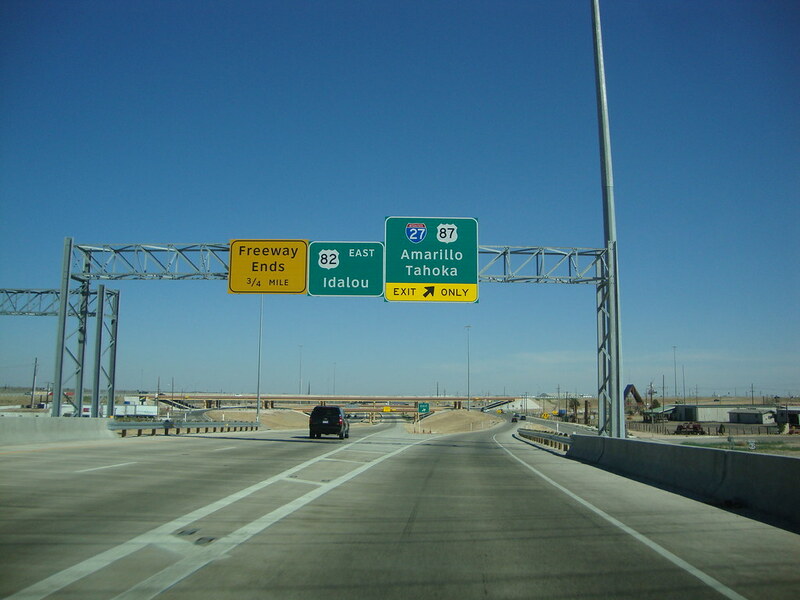 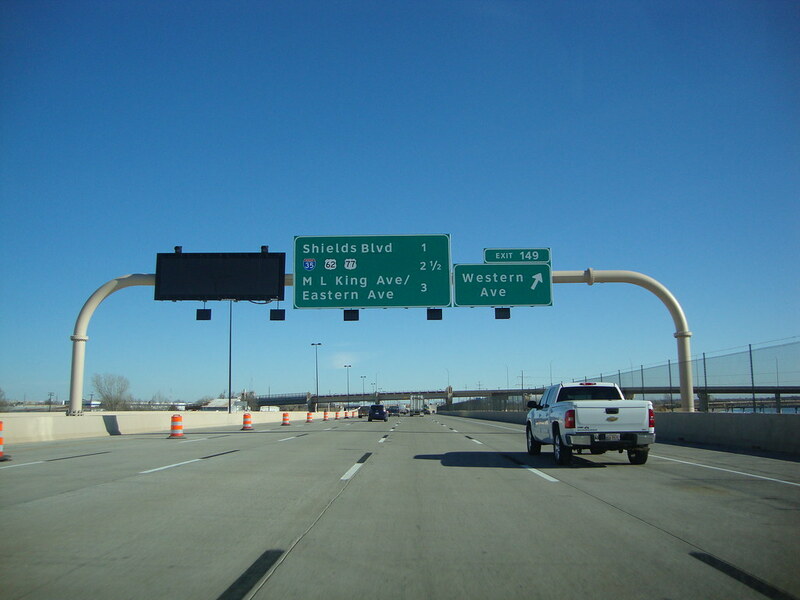 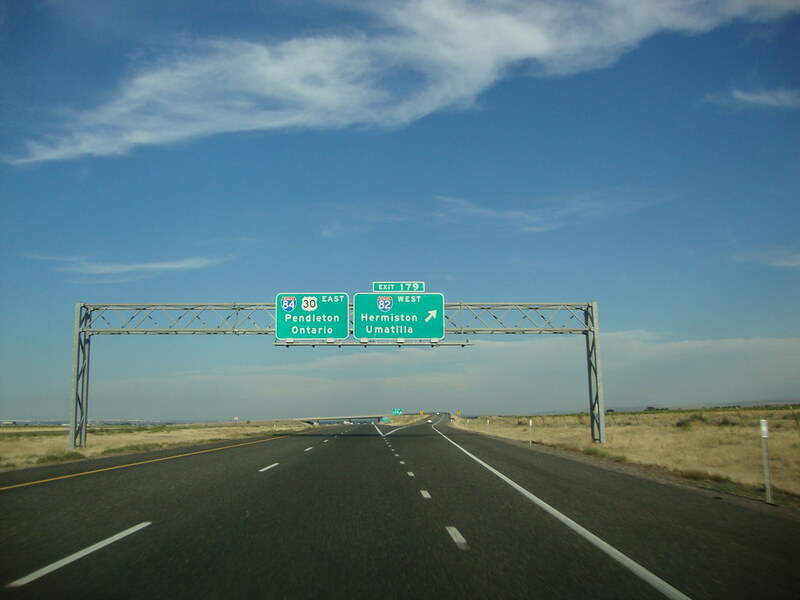 Description: U.S. 51 South & U.S. 60/U.S. 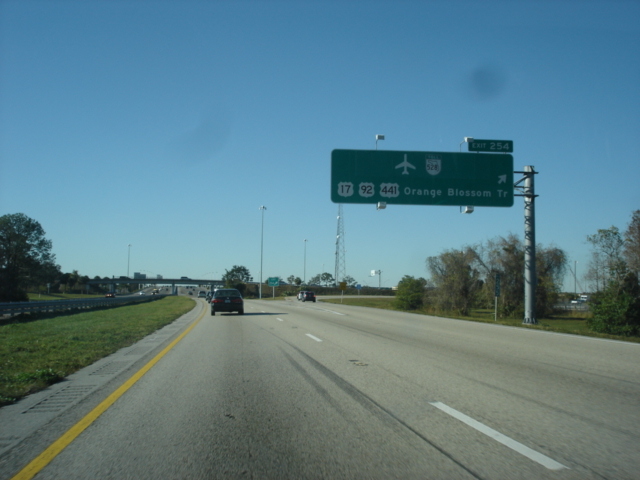 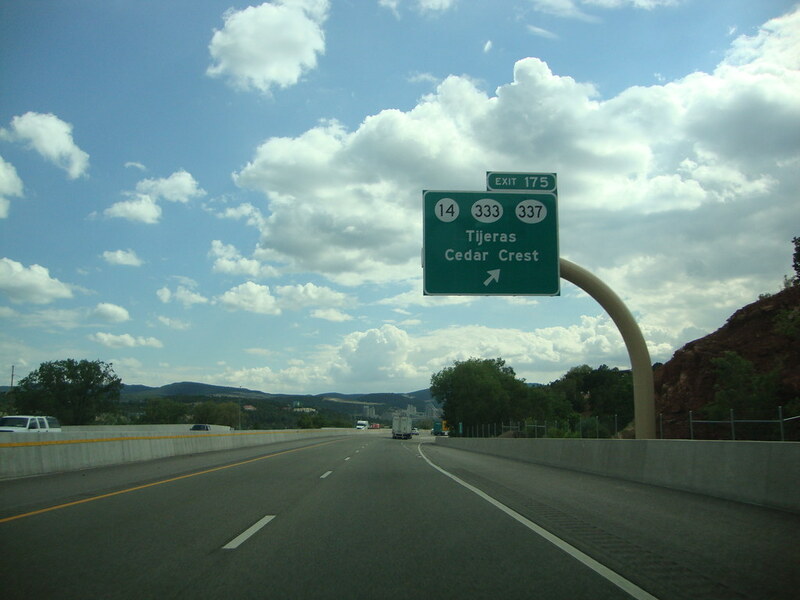 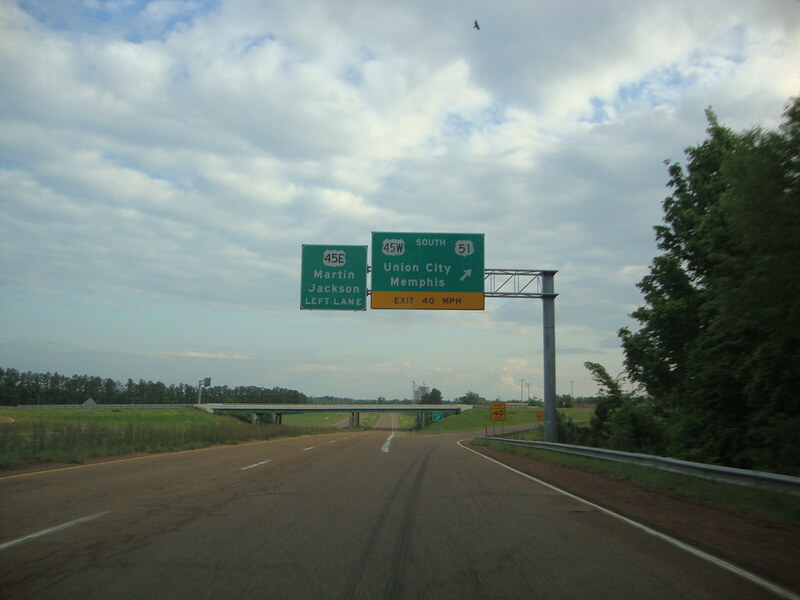 62 East approaching U.S. 60. 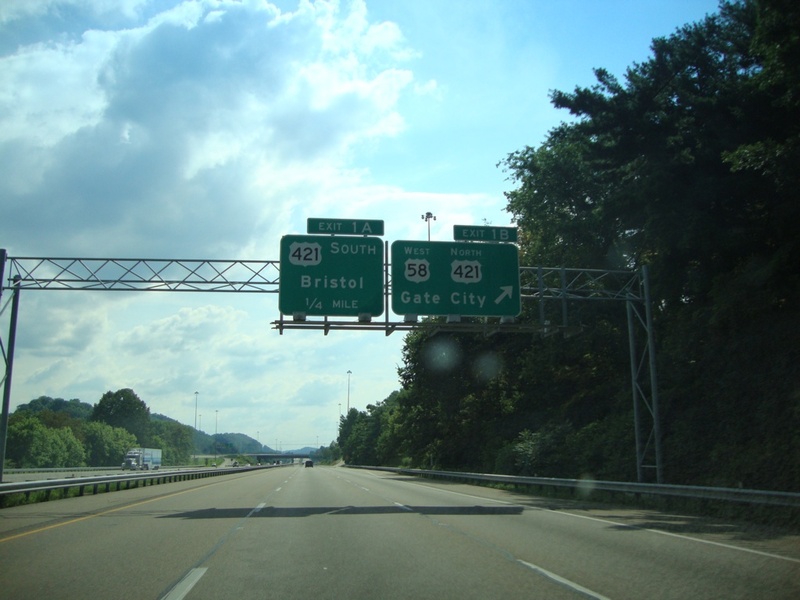 Use U.S. 51 South & U.S. 62 East to KY 121 & KY 286. 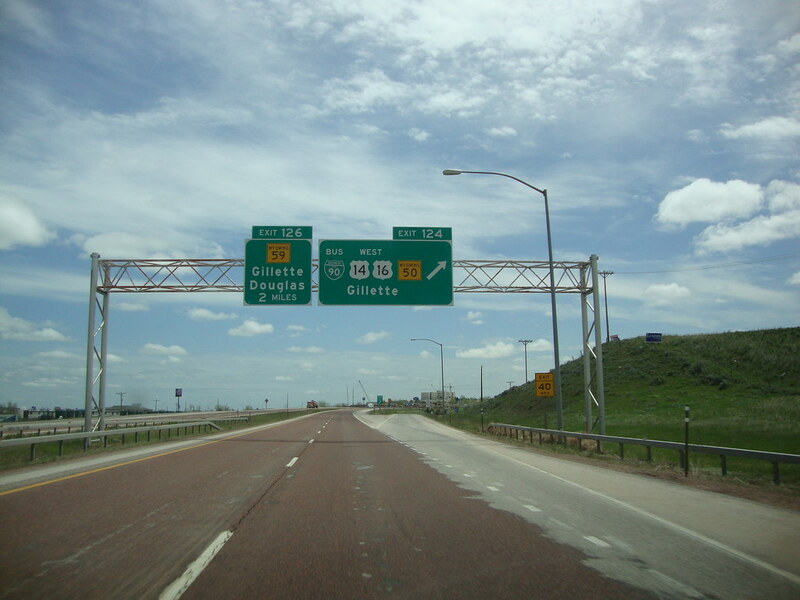 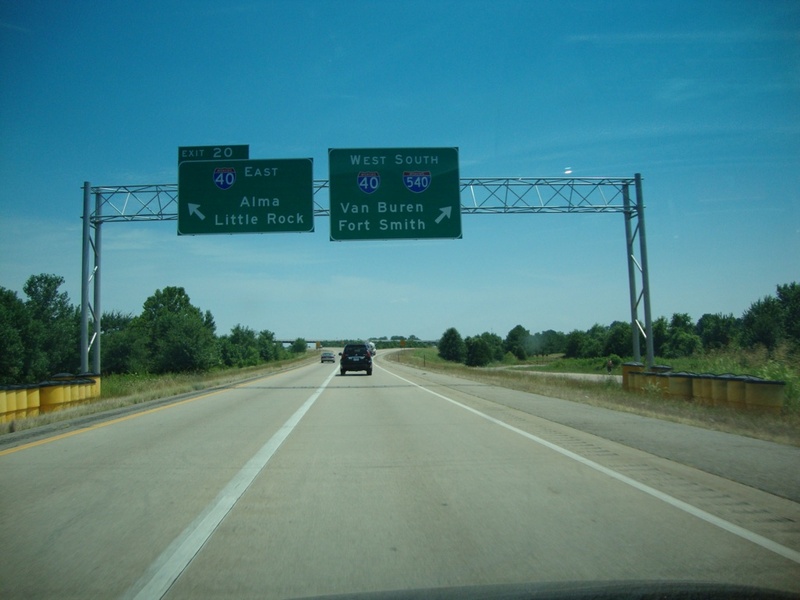 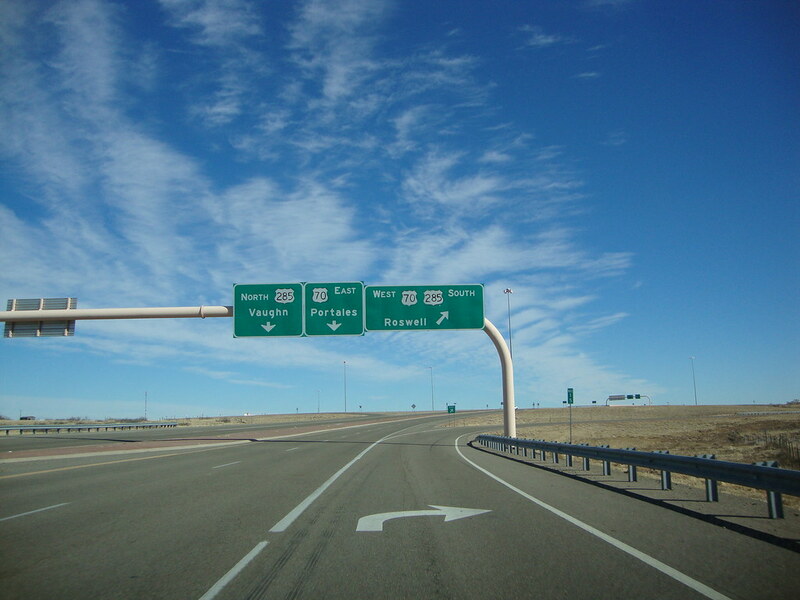 Turn left to continue on U.S. 60 East. 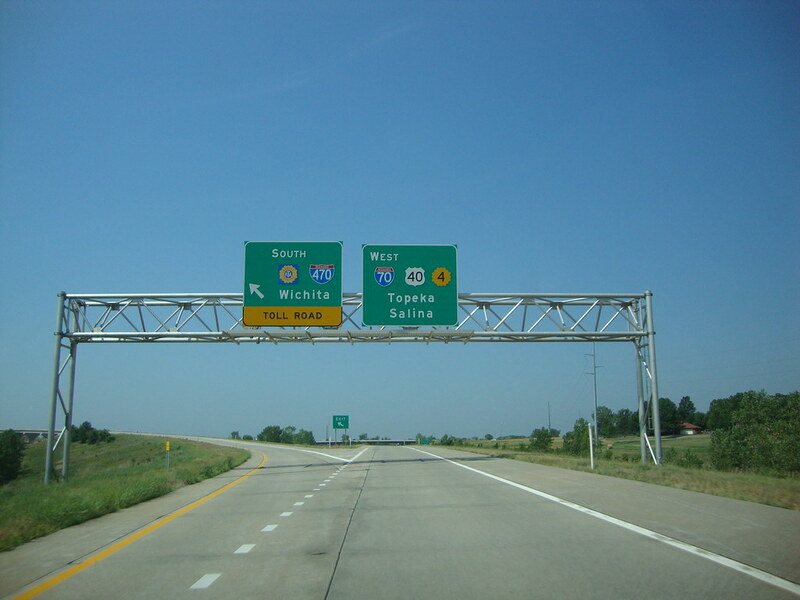 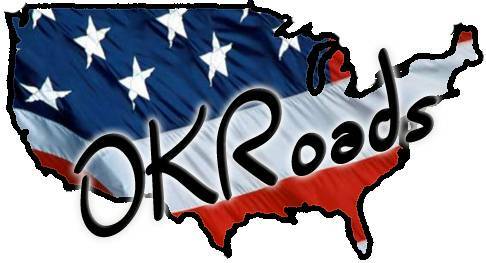 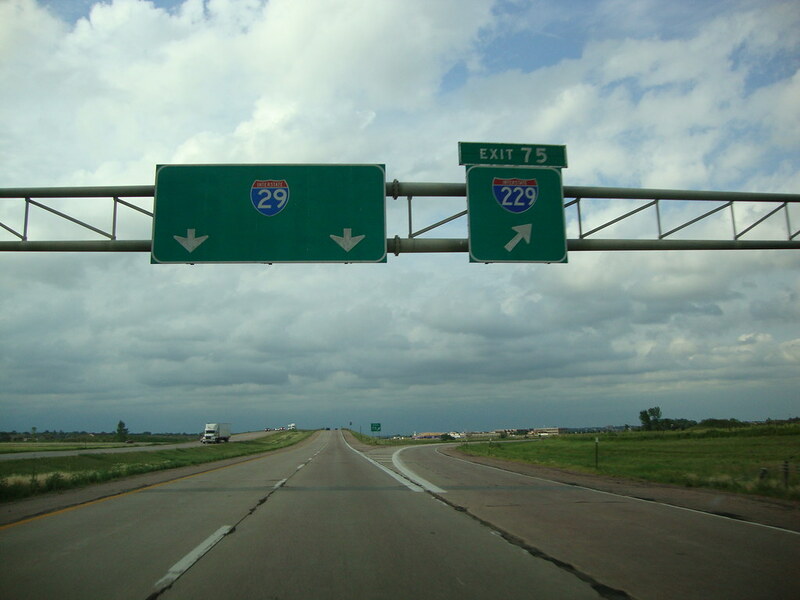 Description: U.S. 218 North at U.S. 218/IA 27 North - Waverly, and IA 27/IA 58 South - Hudson/University of Northern Iowa. 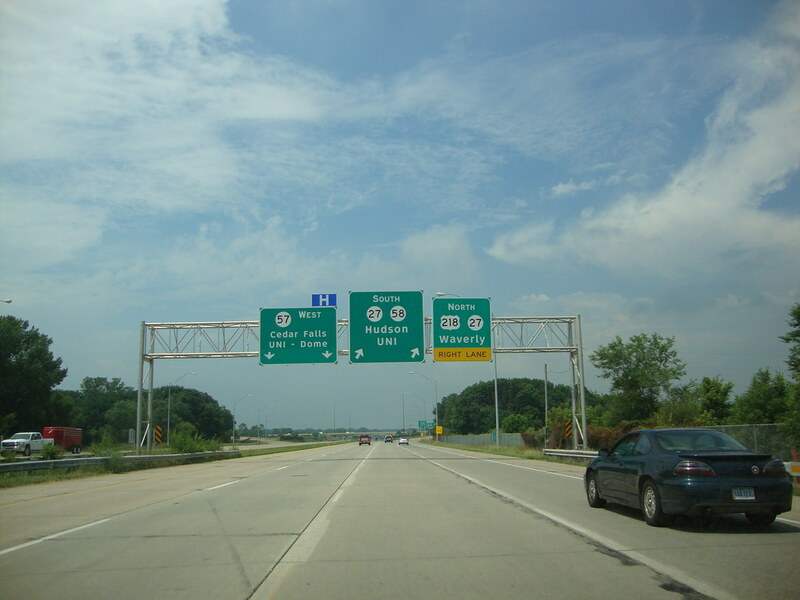 Continue straight ahead for IA 57 West to Cedar Falls and the UNI-Dome. 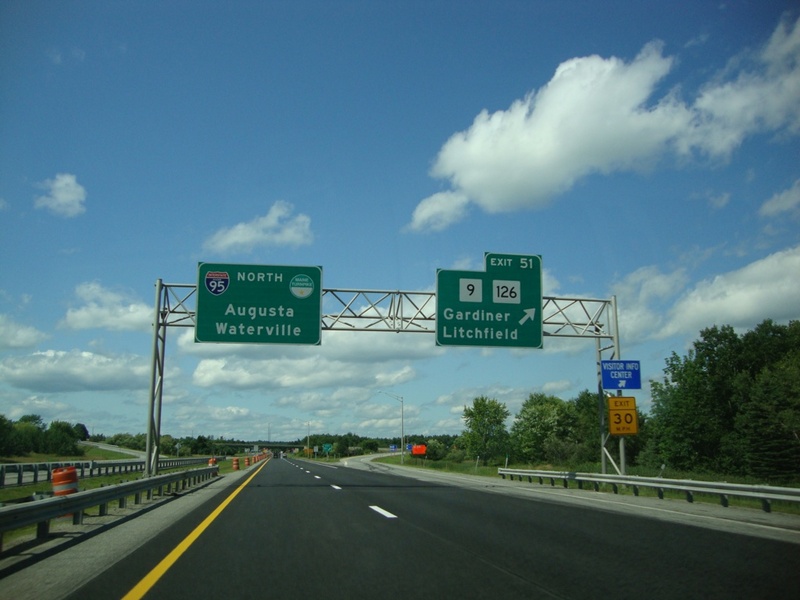 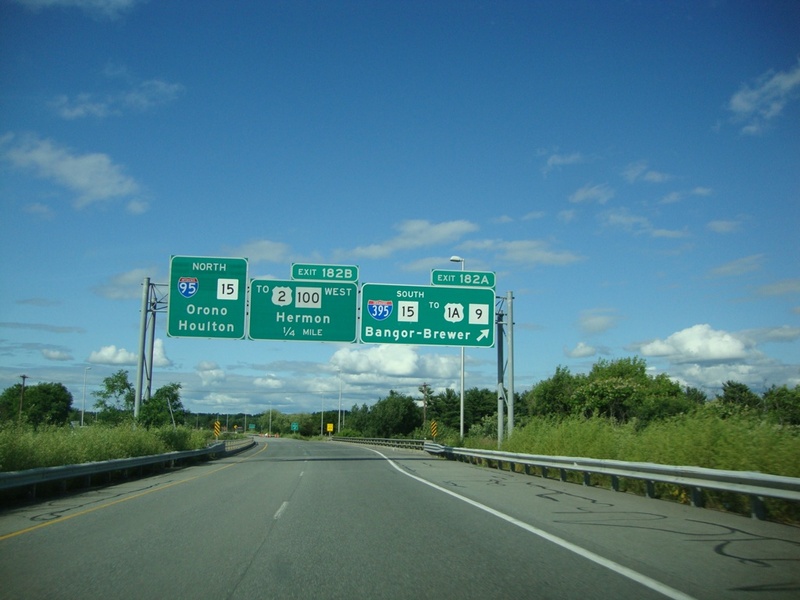 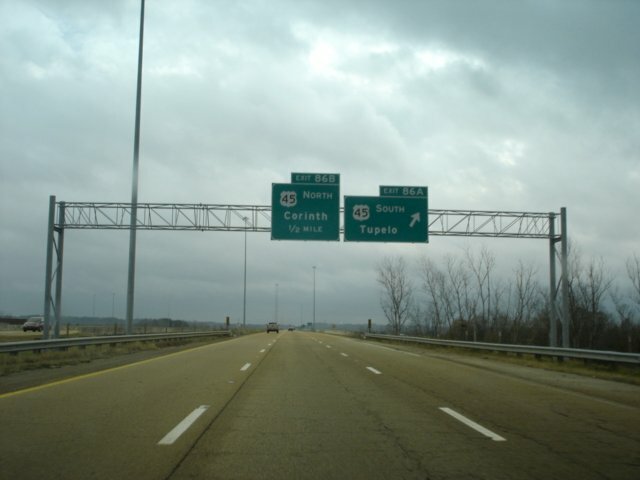 Description: Interstate 90 West at Exit 4 - U.S. 53 North/WI 157 - La Crosse/Onalaska. 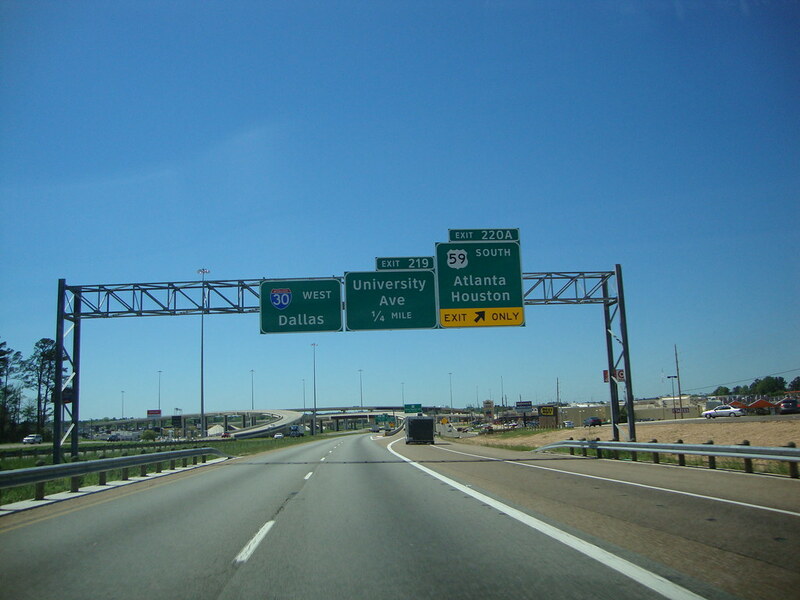 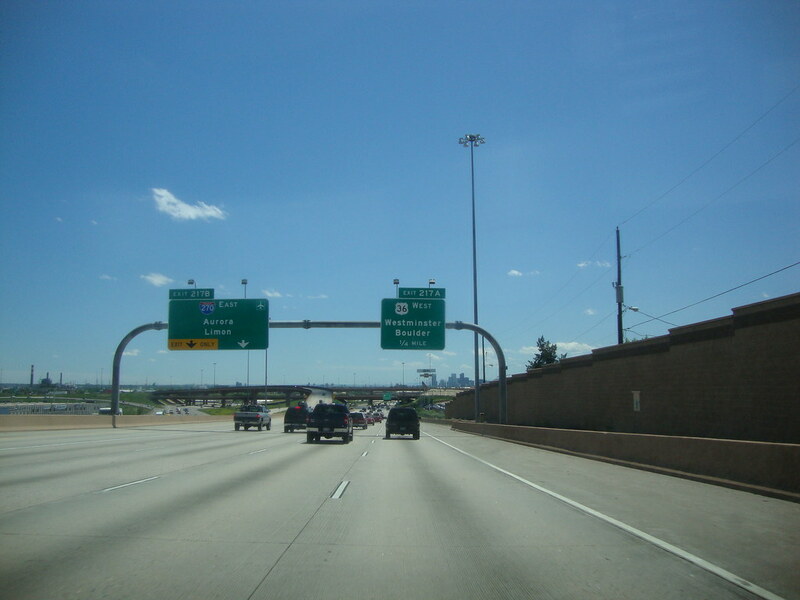 Description: U.S. 70 East & U.S. 285 North at U.S. 70 West & U.S. 285 South - Roswell. 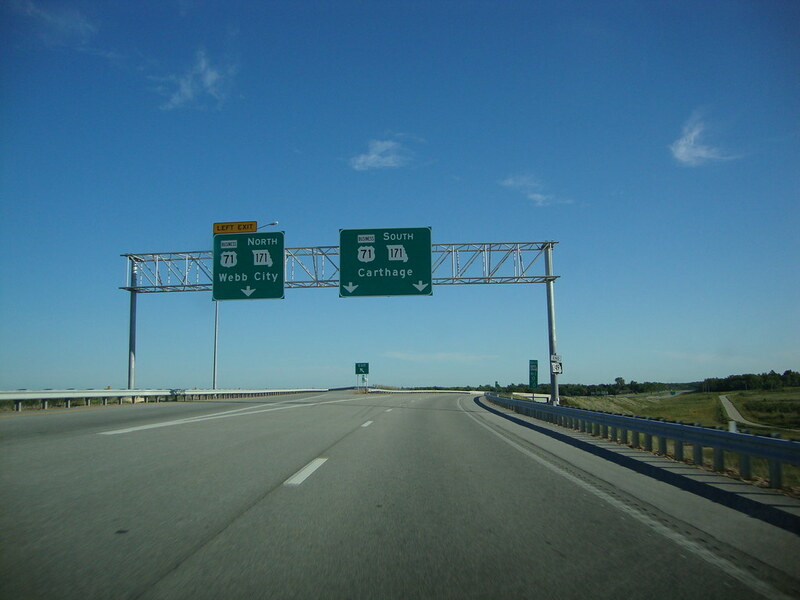 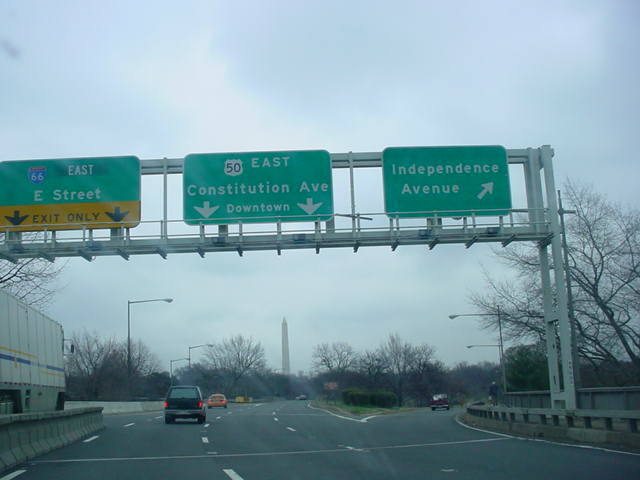 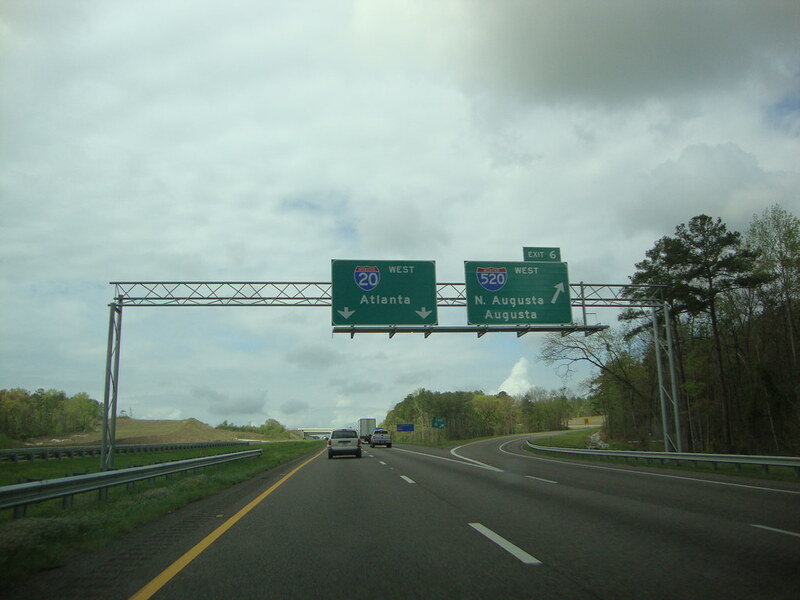 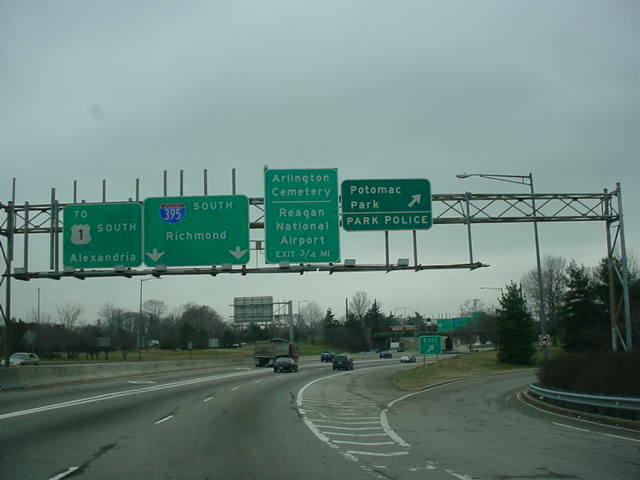 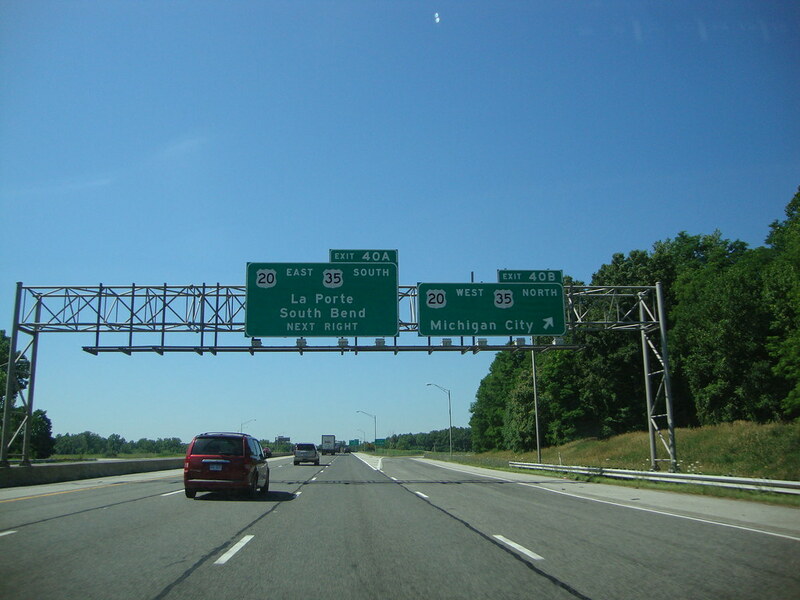 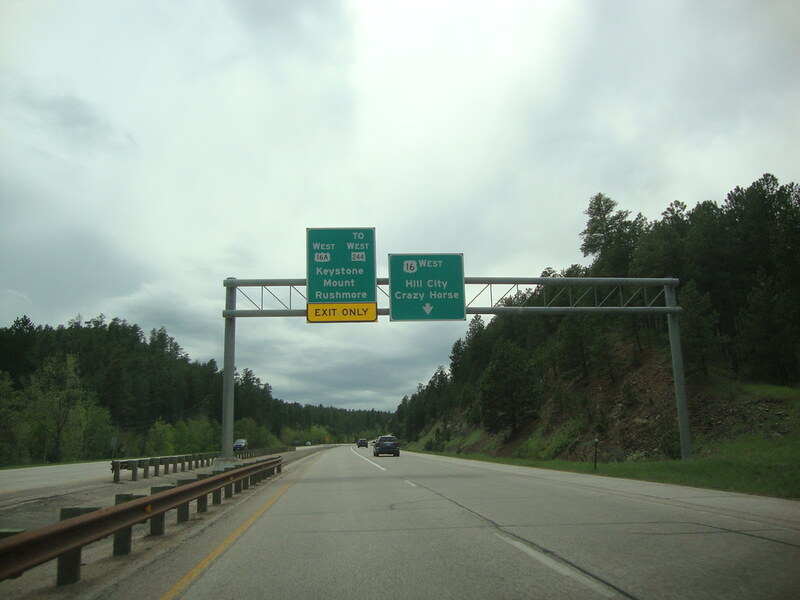 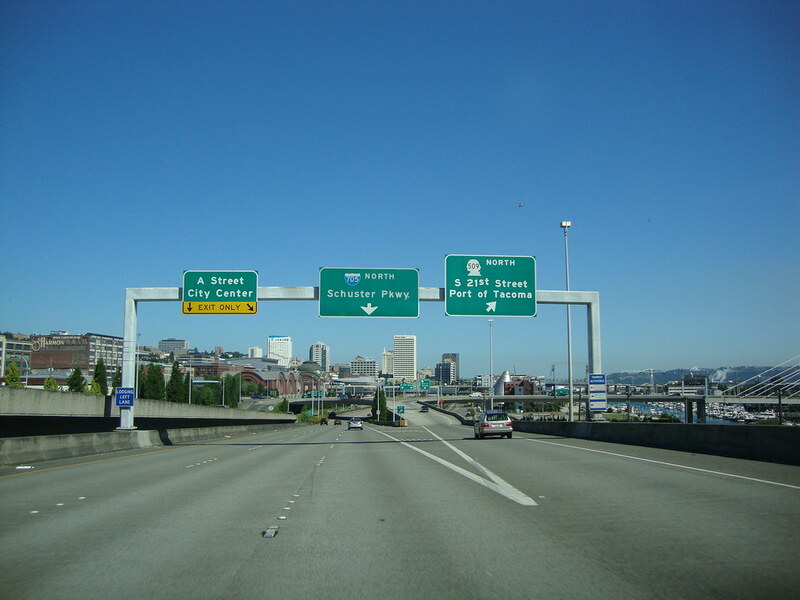 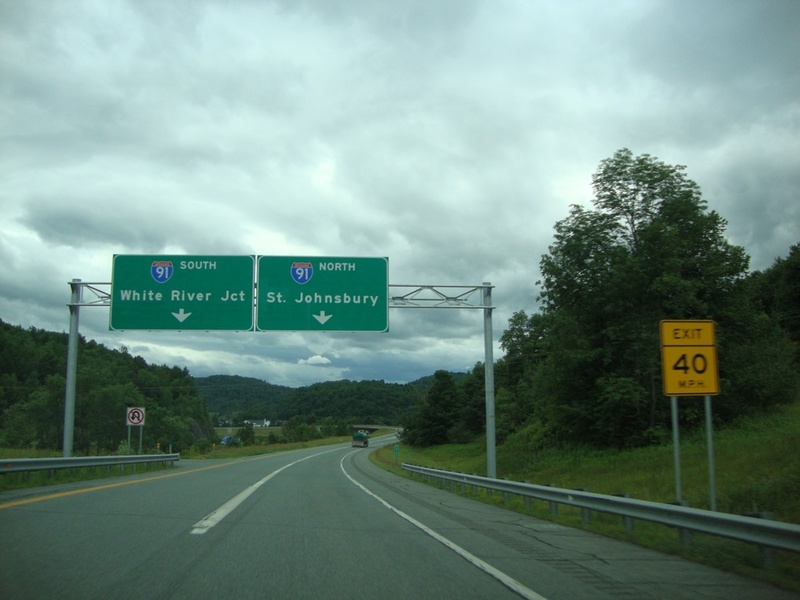 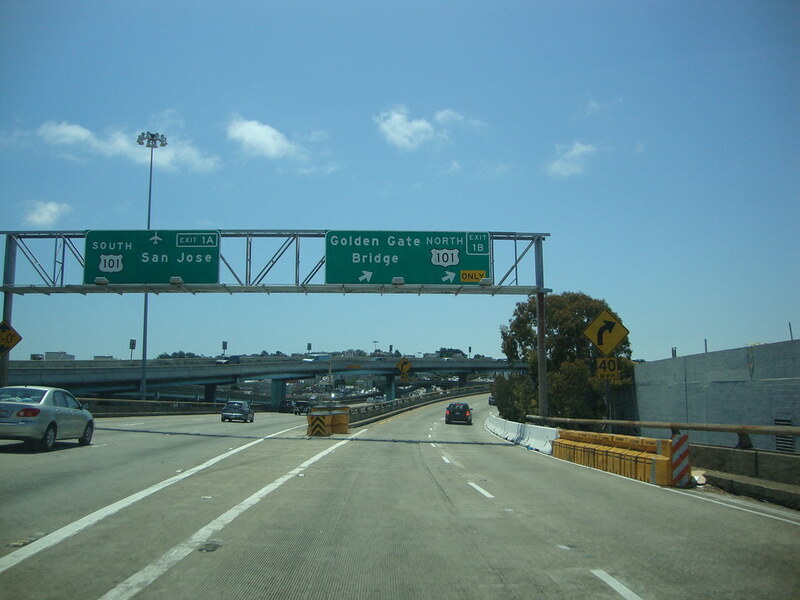 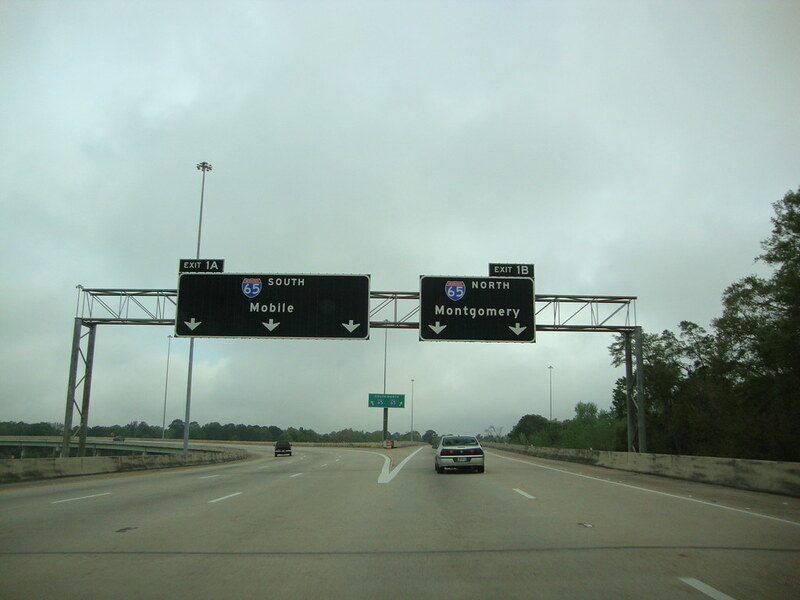 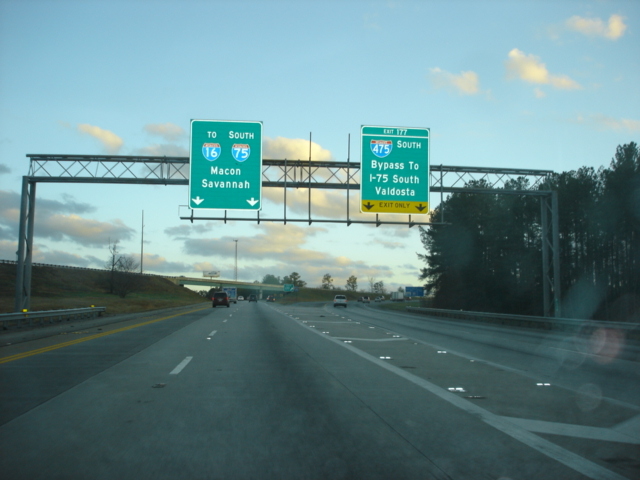 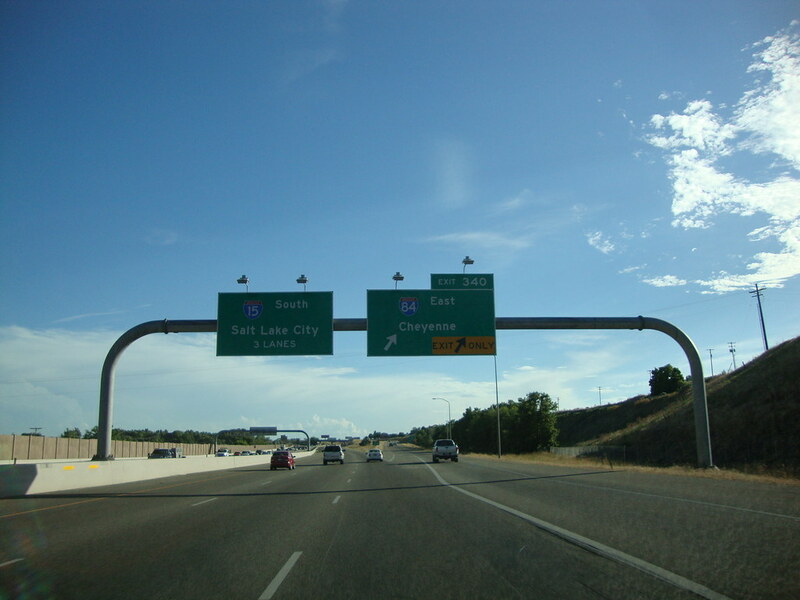 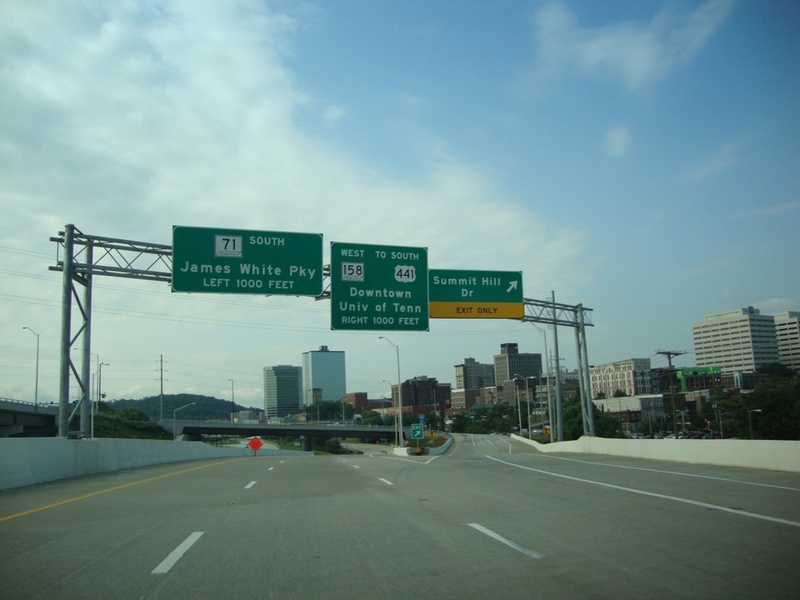 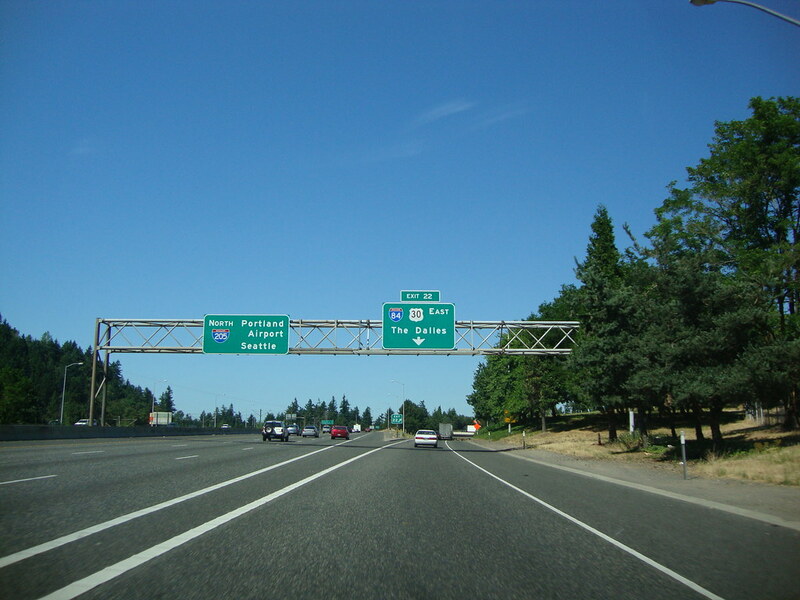 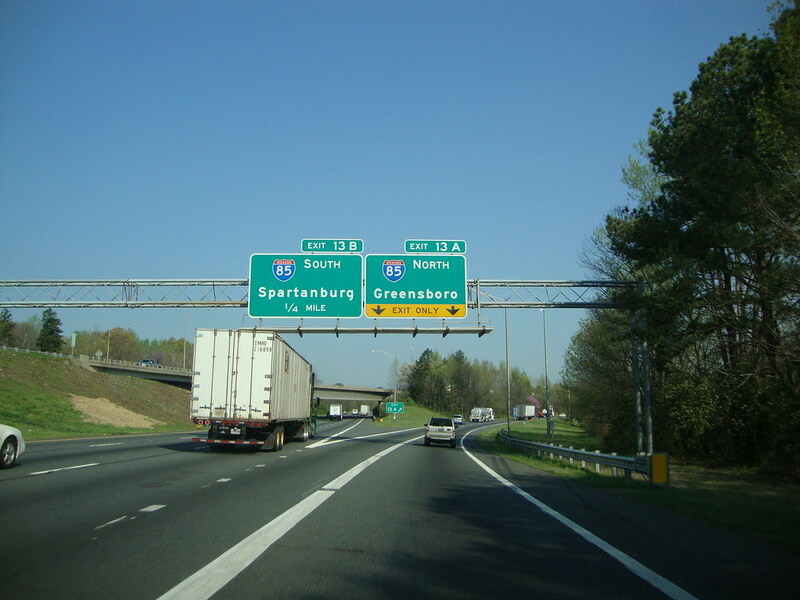 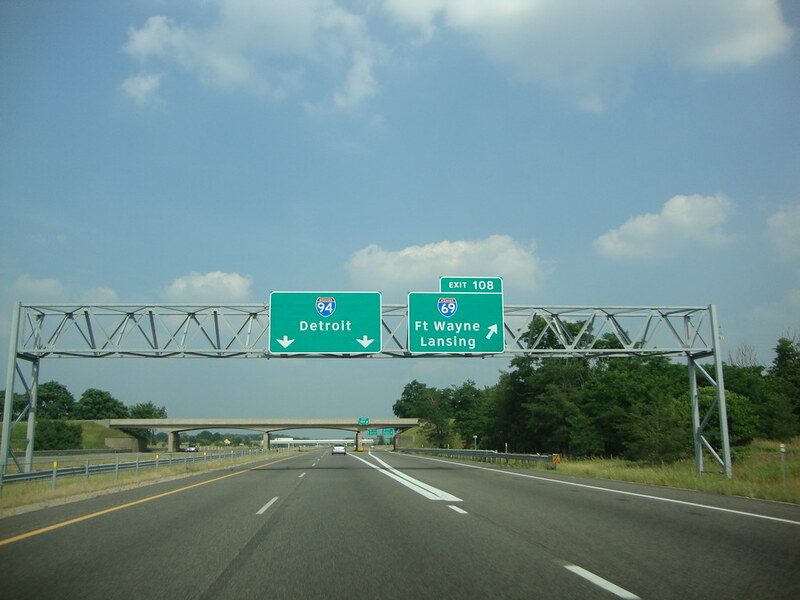 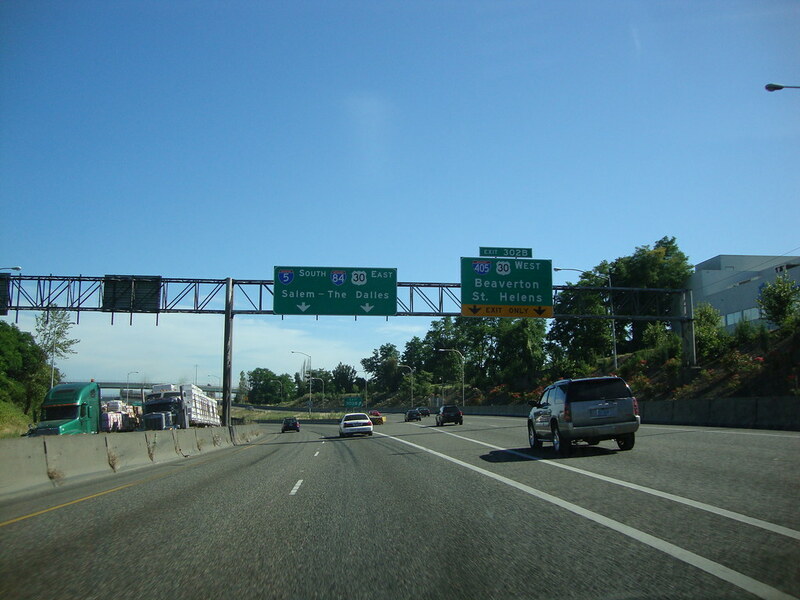 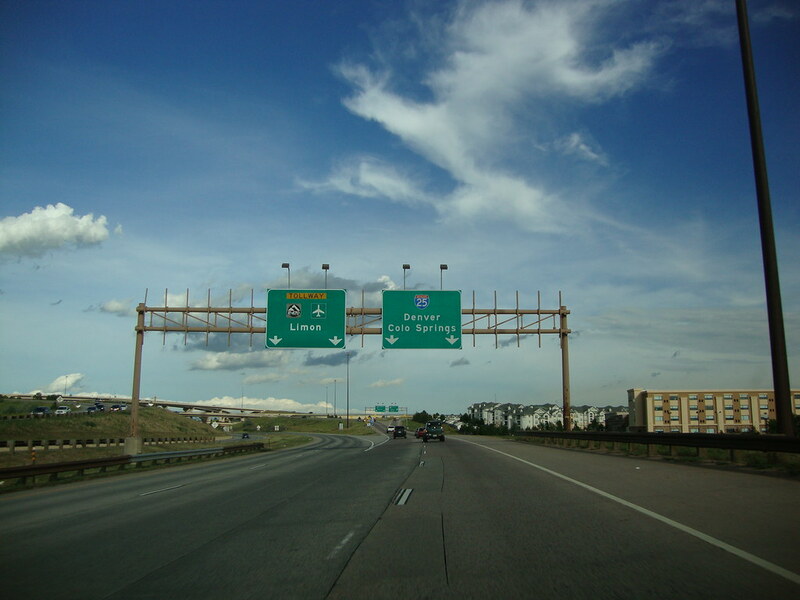 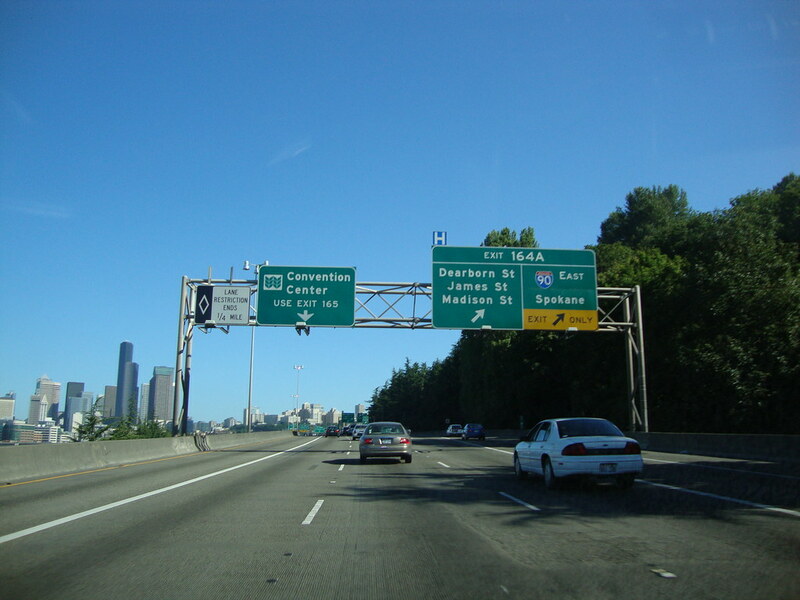 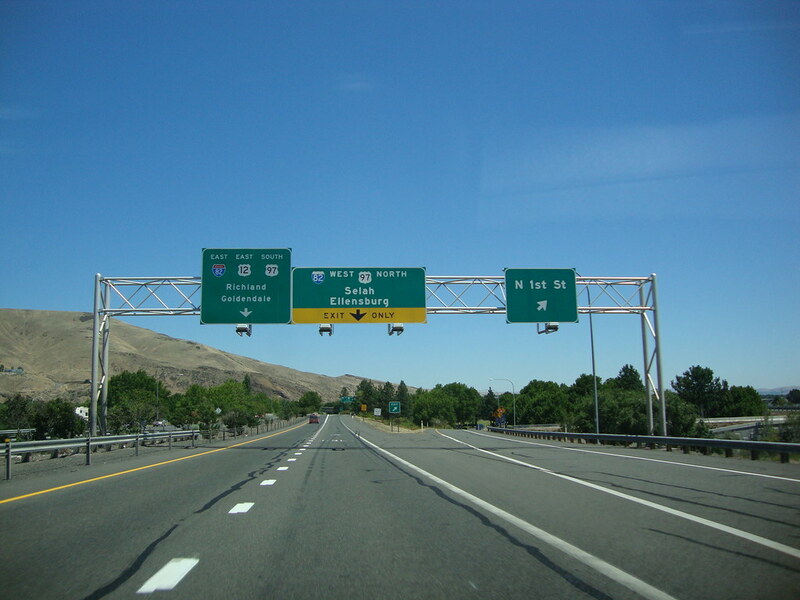 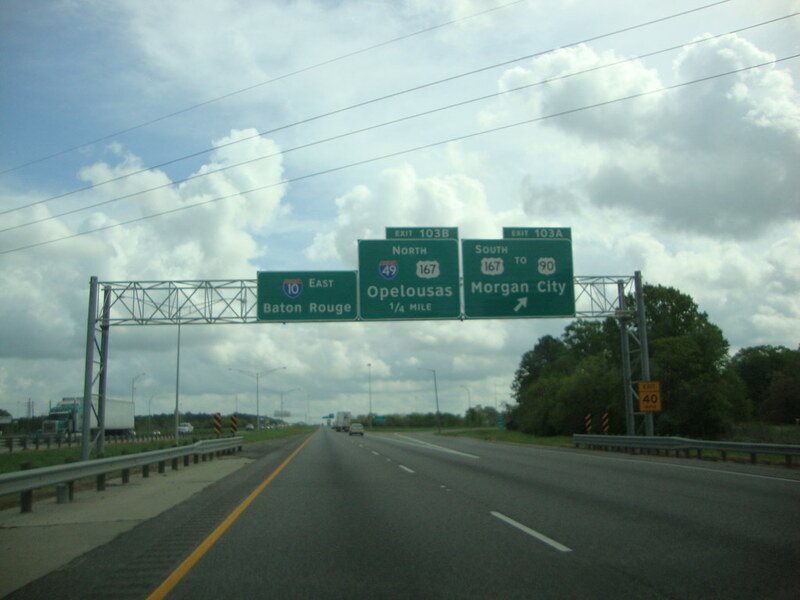 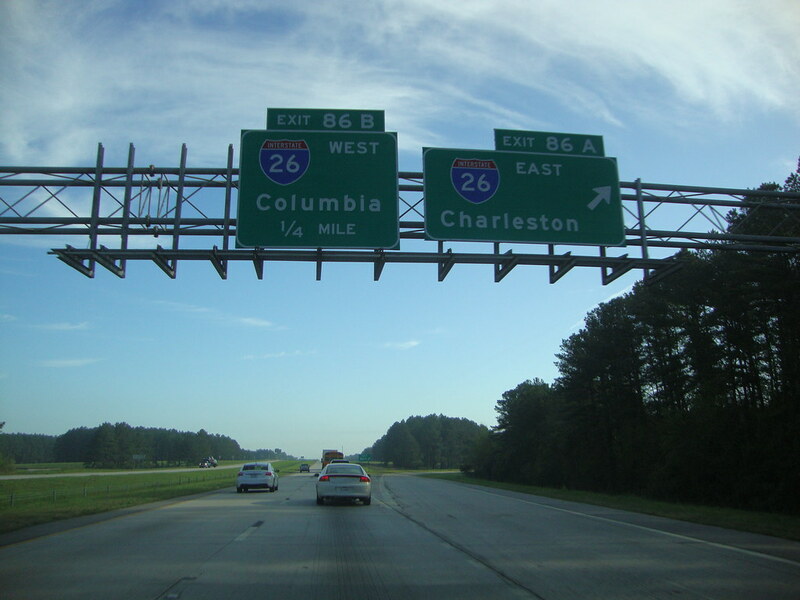 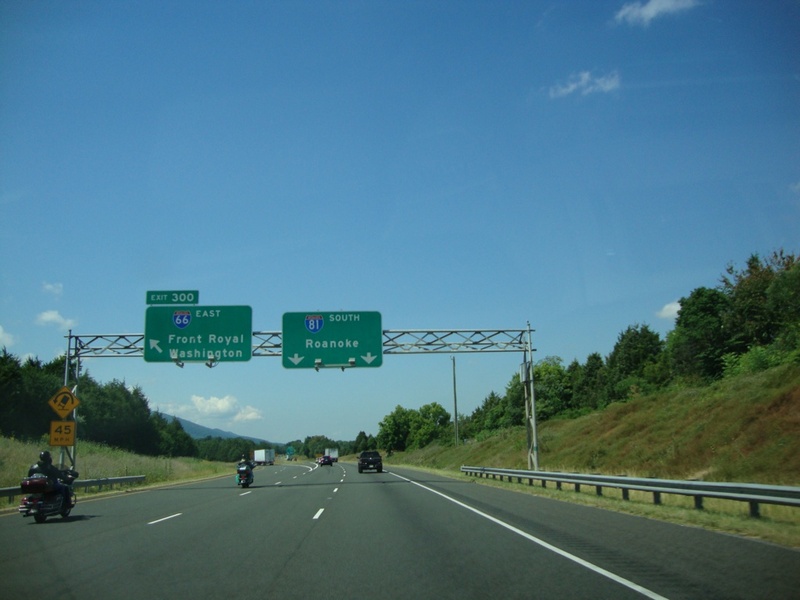 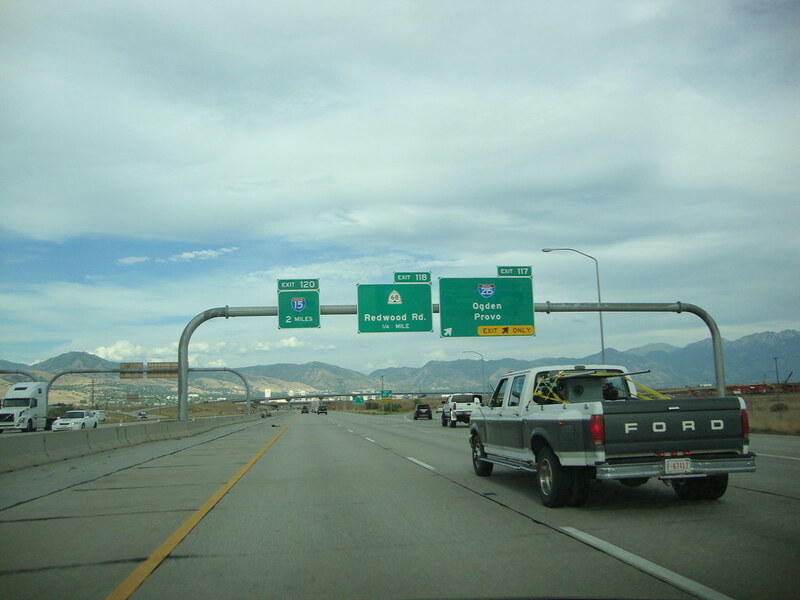 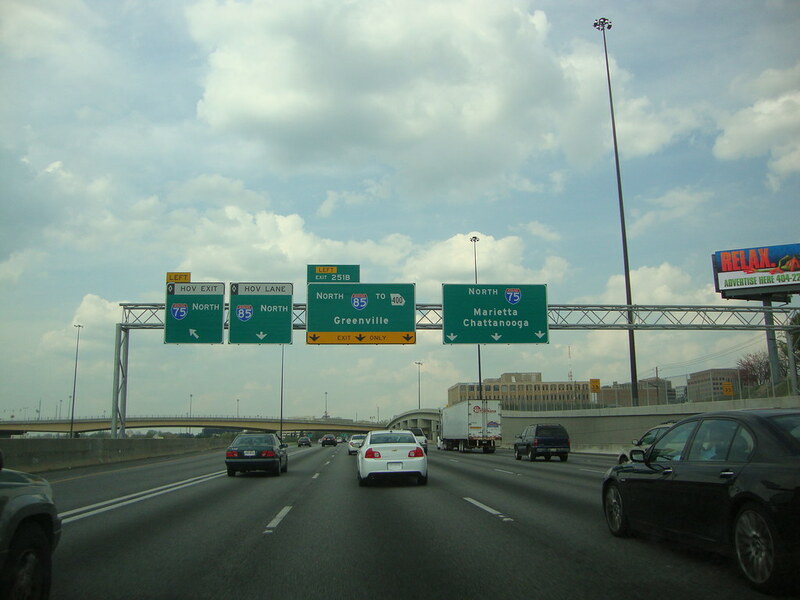 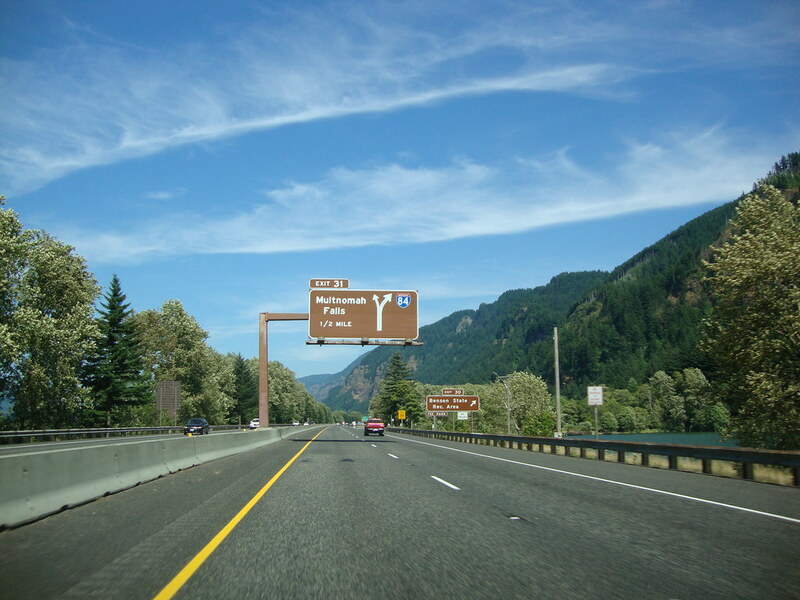 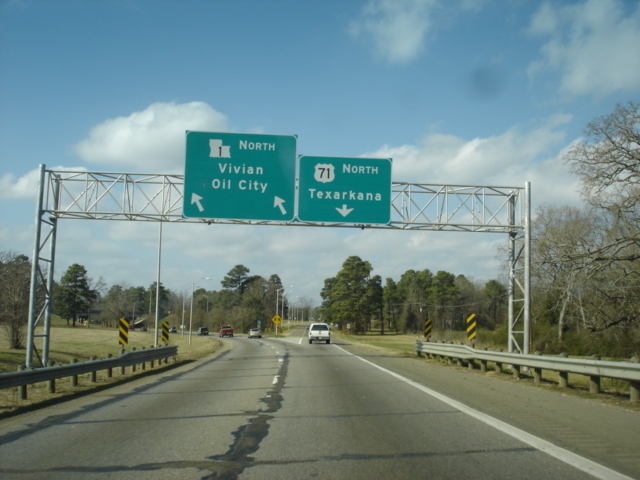 Both highways signed for this exit now bypass the city. 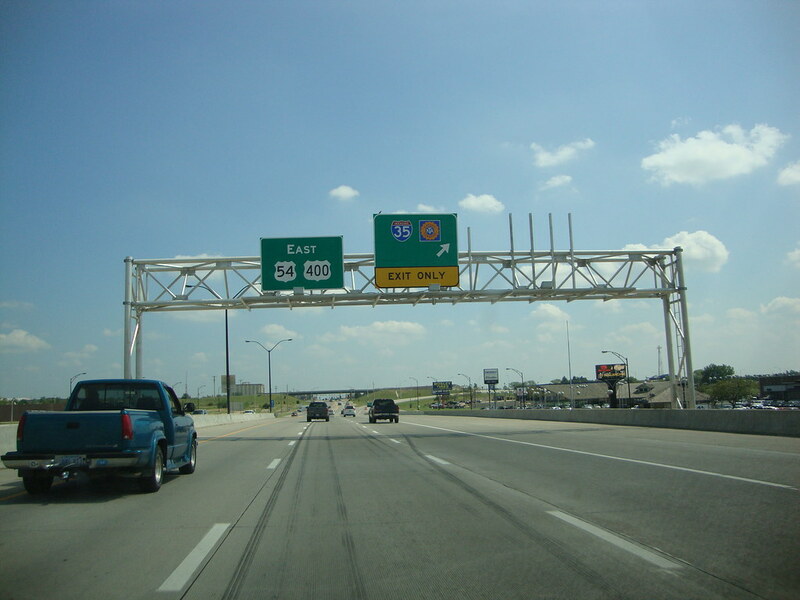 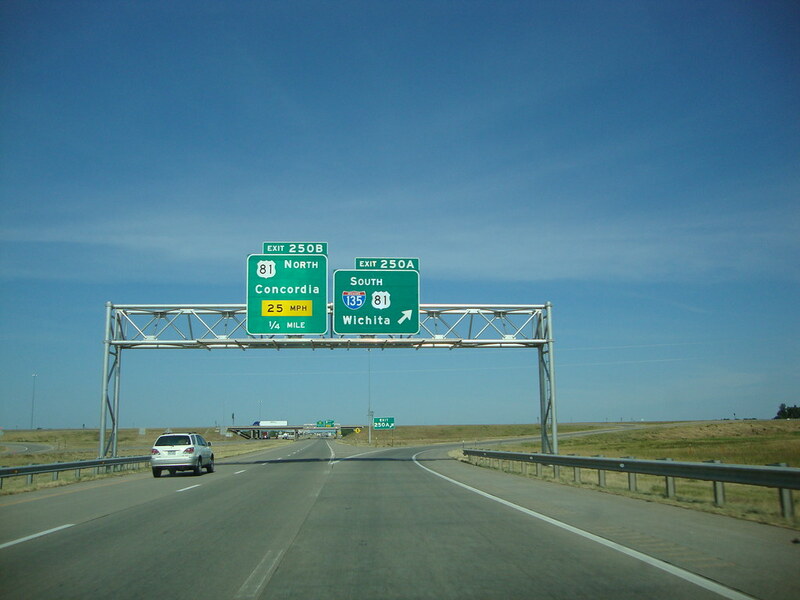 Description: U.S. 50 West at Interstate 470 & U.S. 50 West - Wichita. 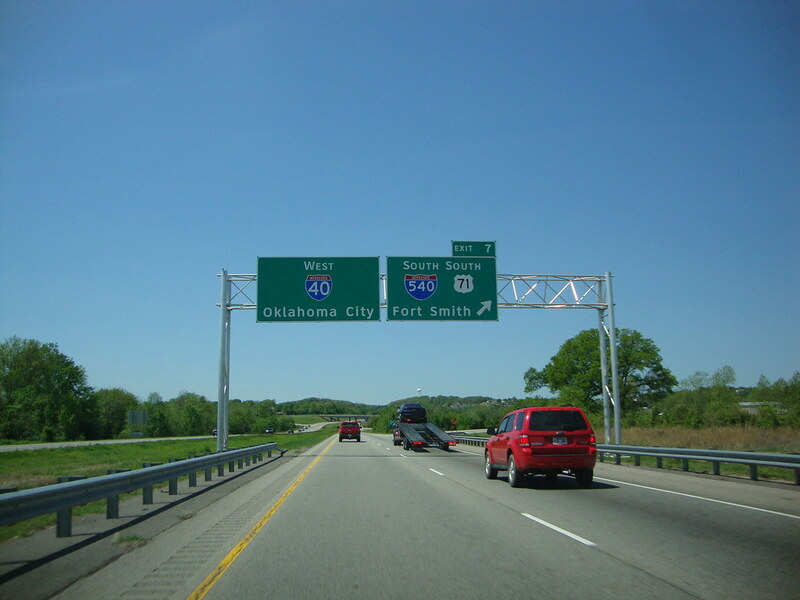 MO 350 West begins at this point.